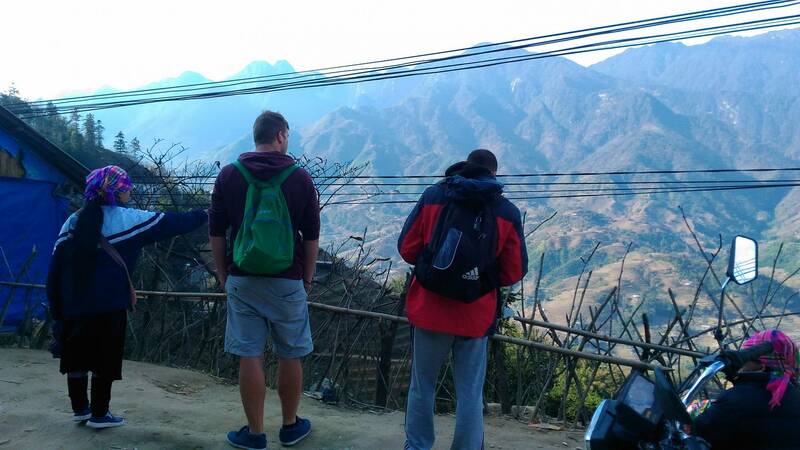 04:00> You will arrive in Sa Pa town and can stay extra 02 hours on the bus/bus office and wait for us to pickup. 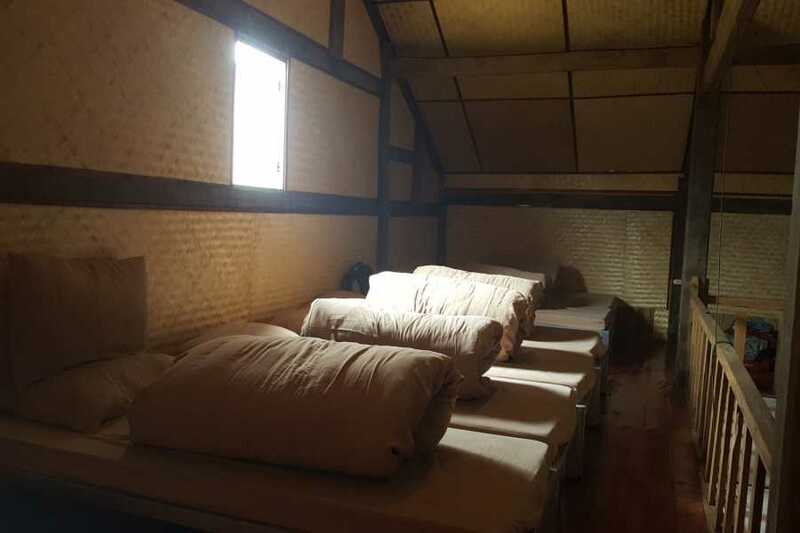 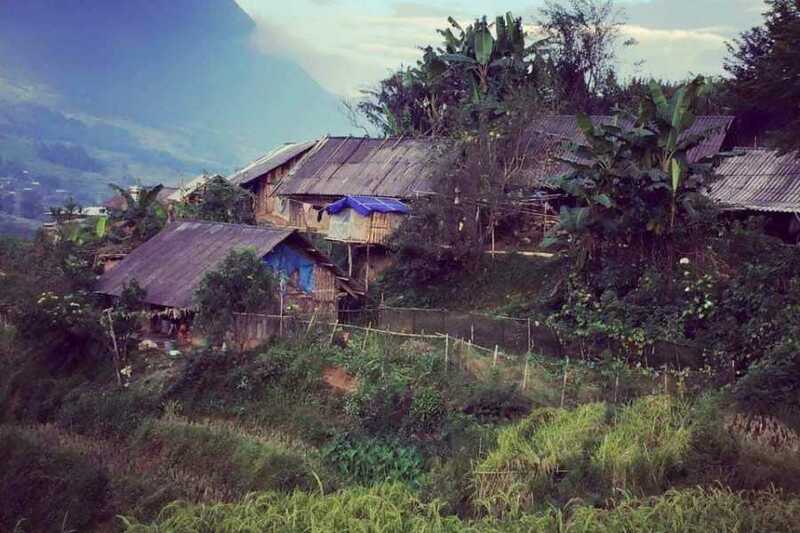 06:00> A taxi will be waiting at the bus office to pick you up and take you to our modern homestay in Ta Van village to have breakfast and store your luggage. 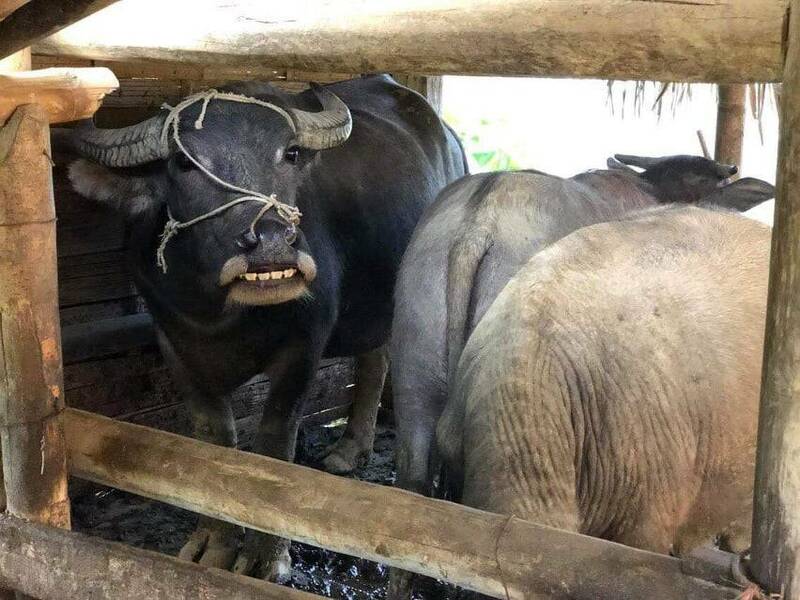 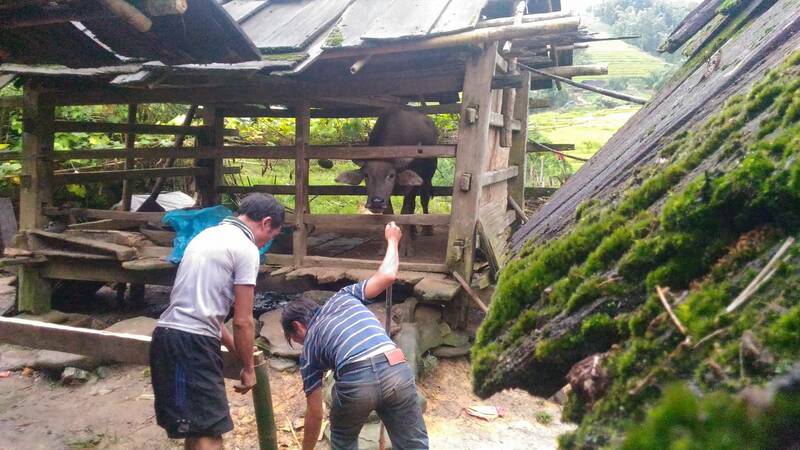 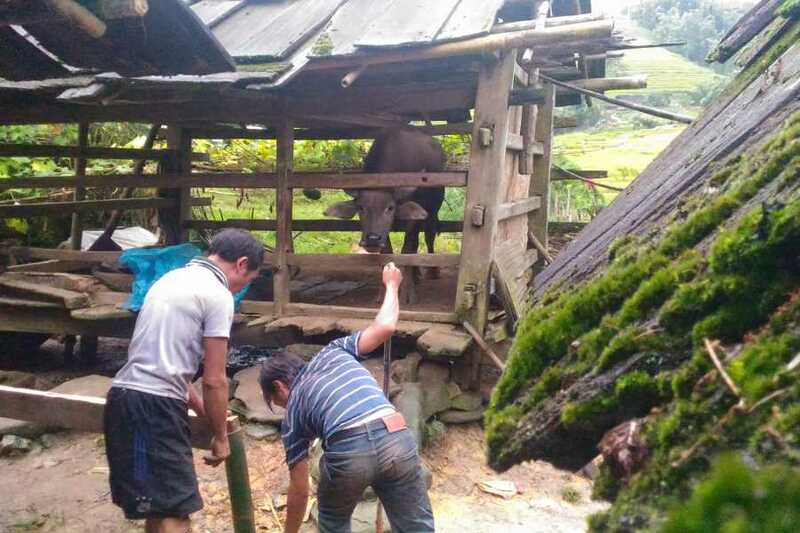 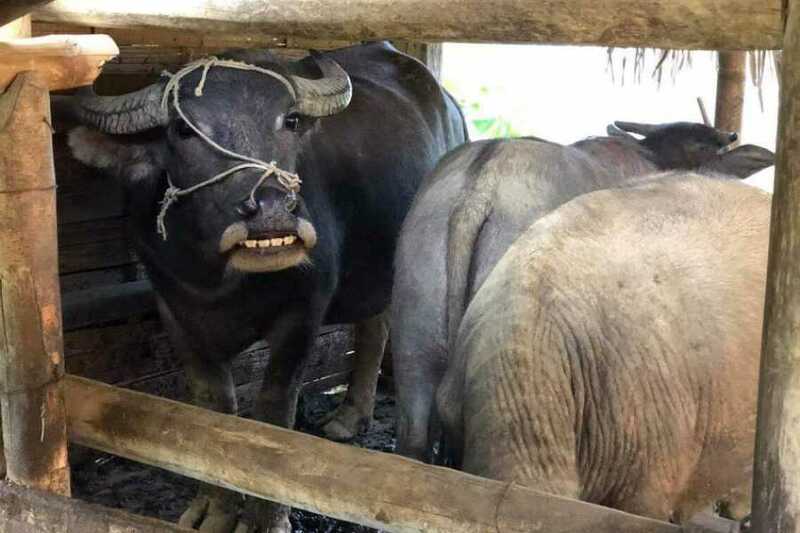 After breakfast you will set off on a scenic trek deep into the national park where you'll witness farmers tending their land and grazing their livestock. 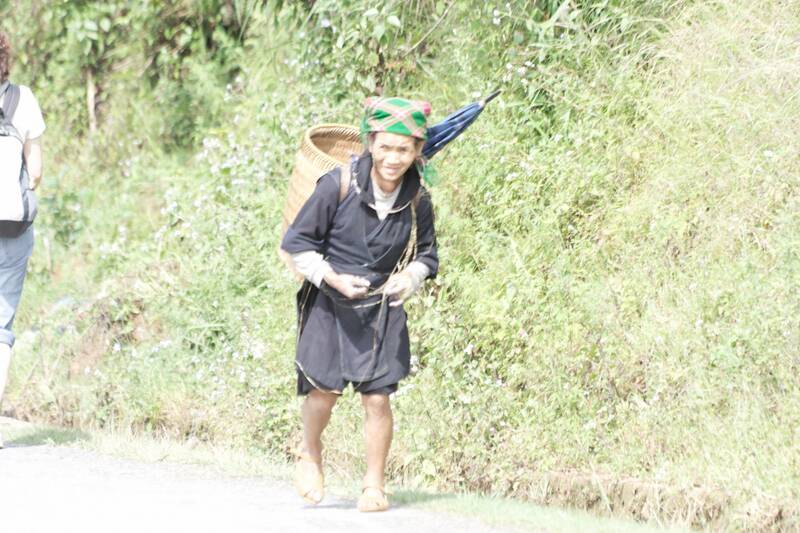 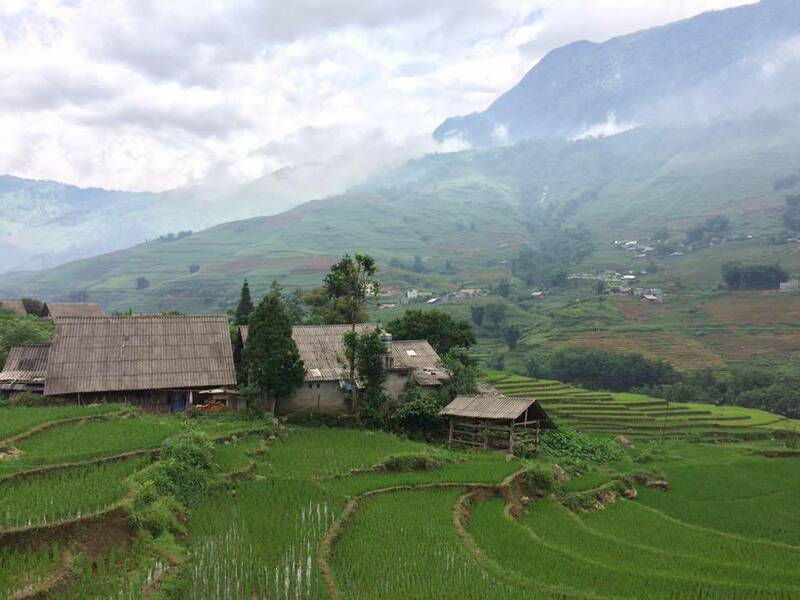 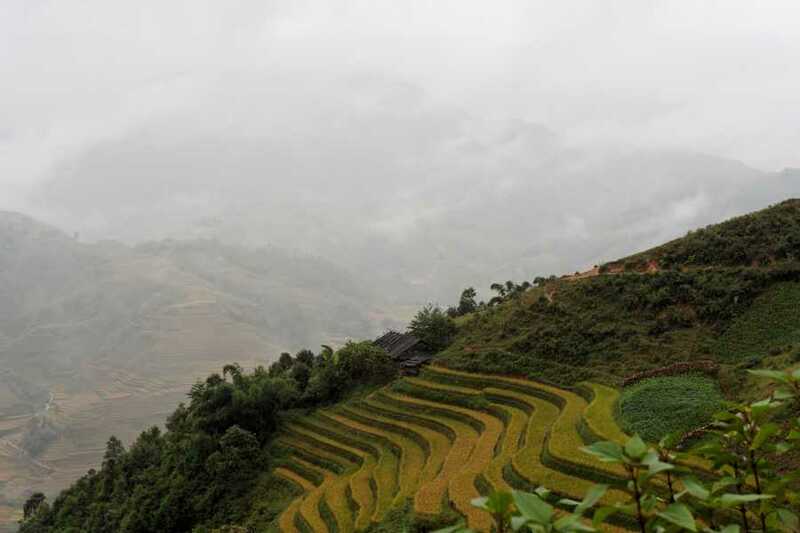 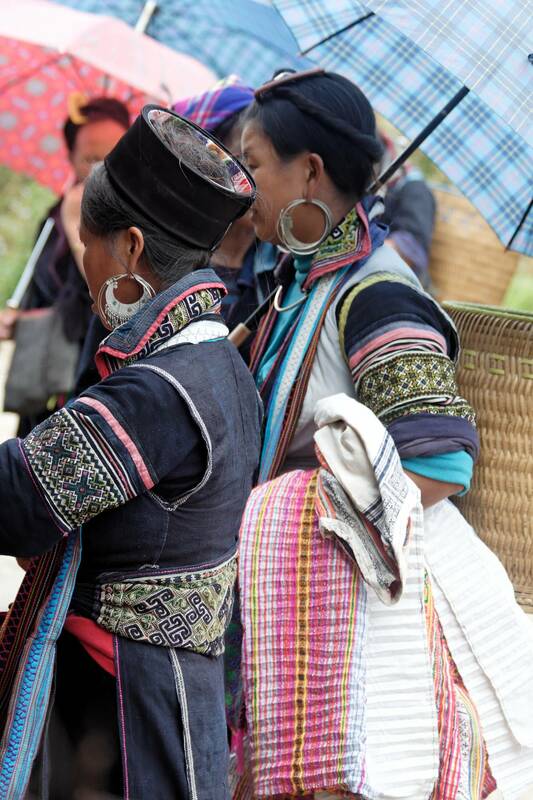 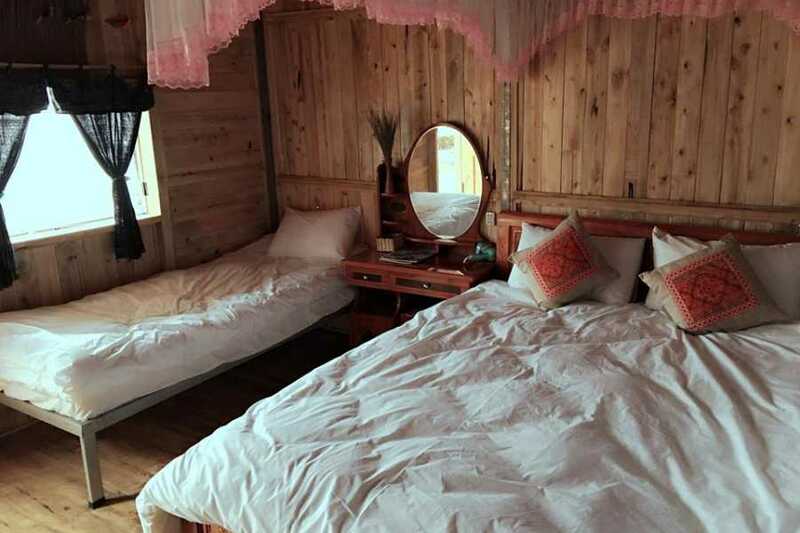 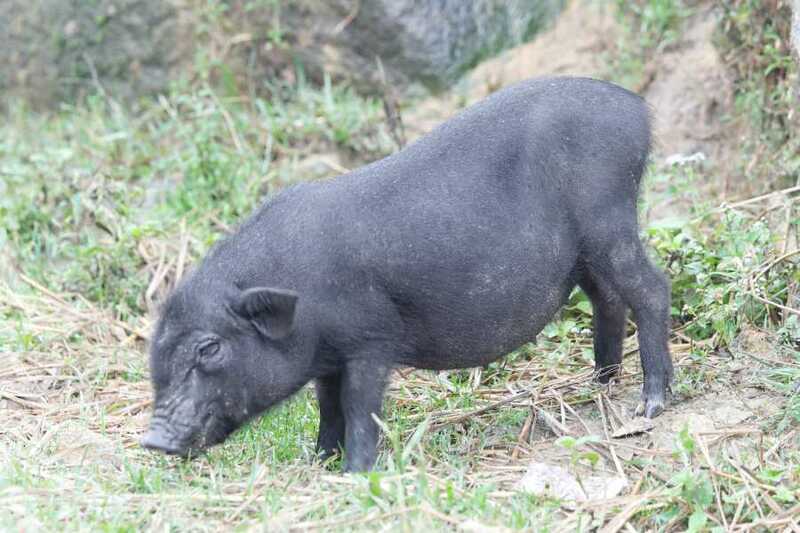 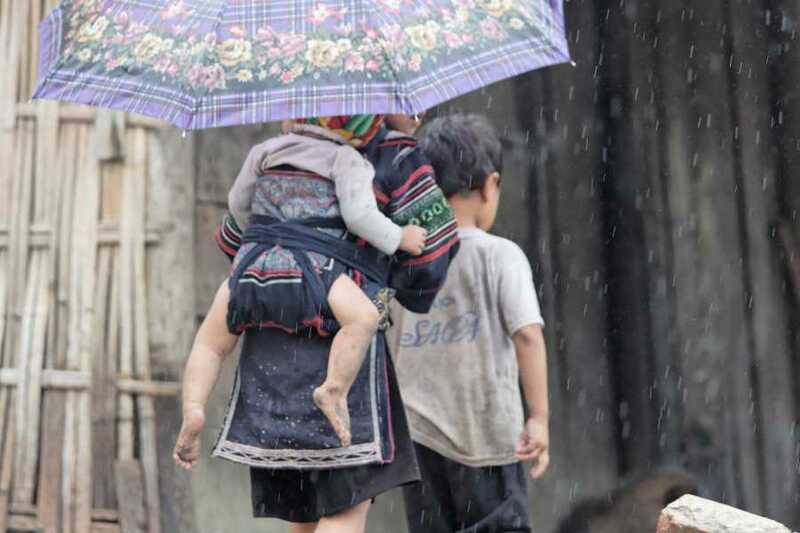 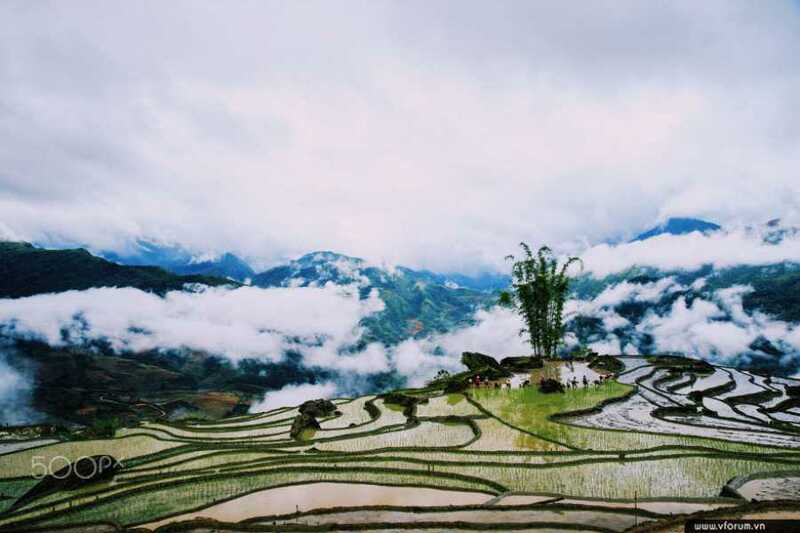 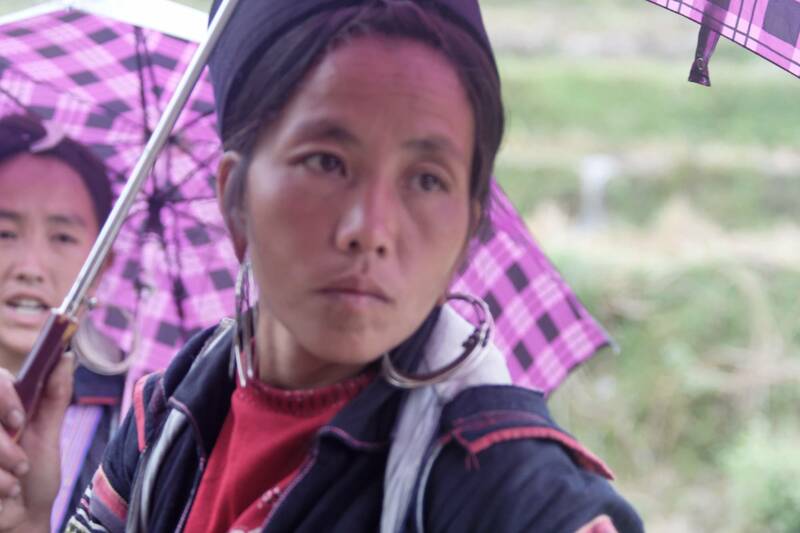 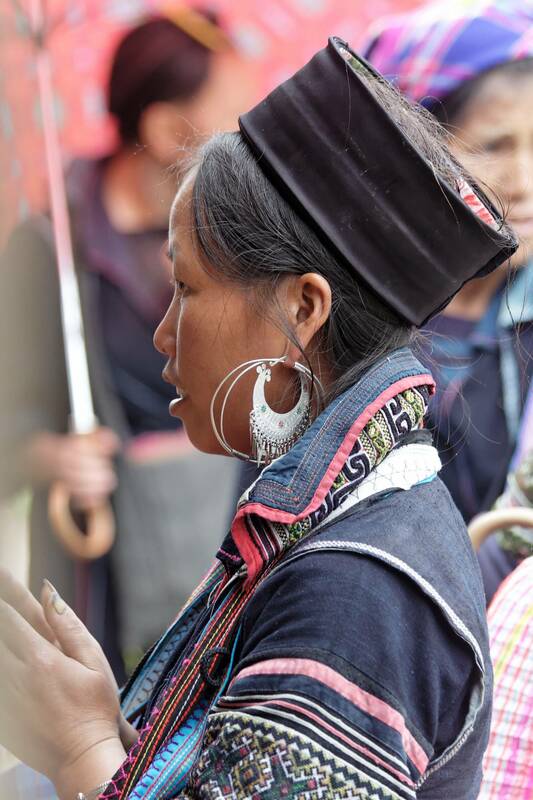 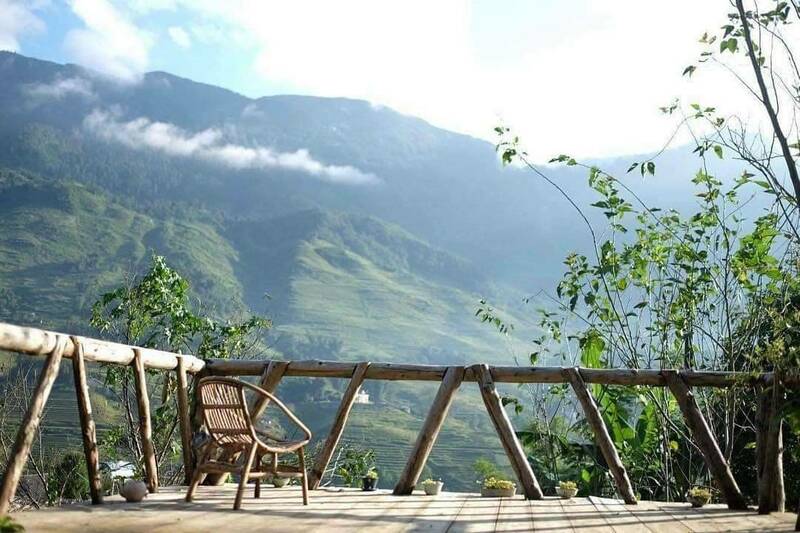 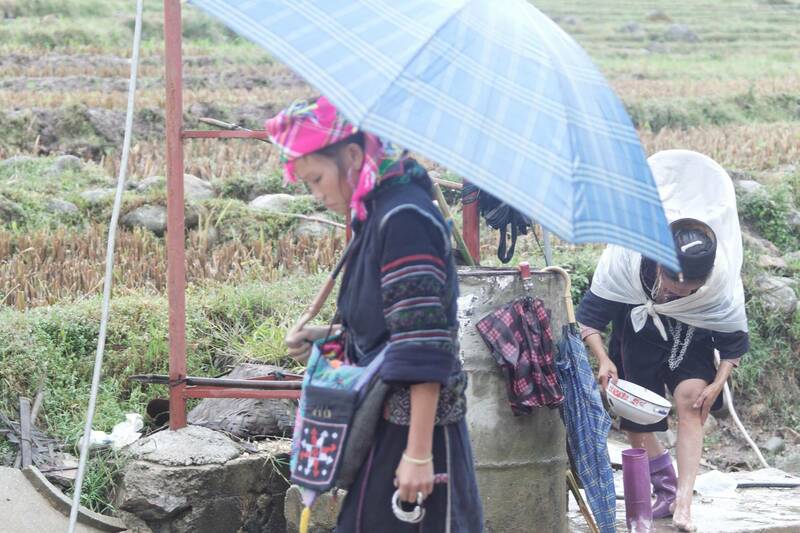 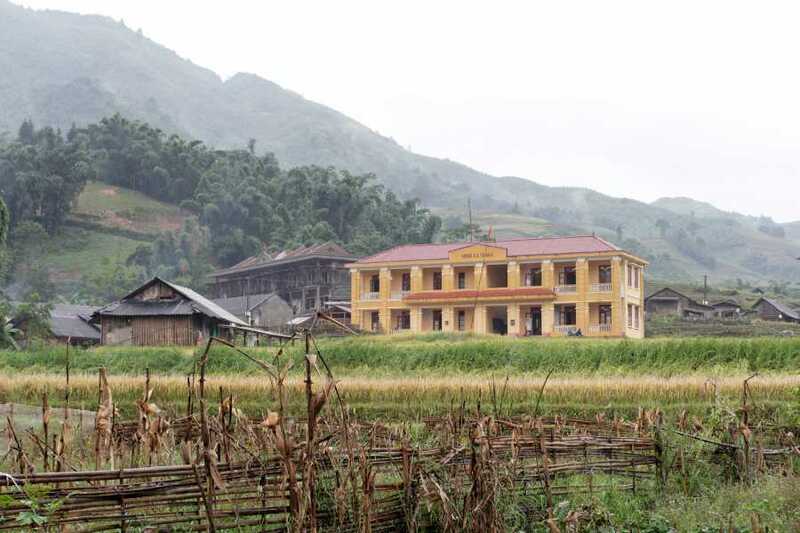 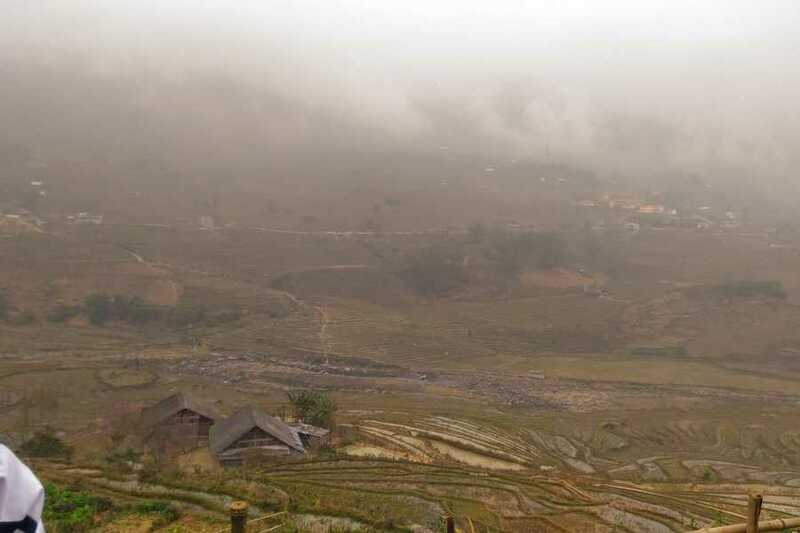 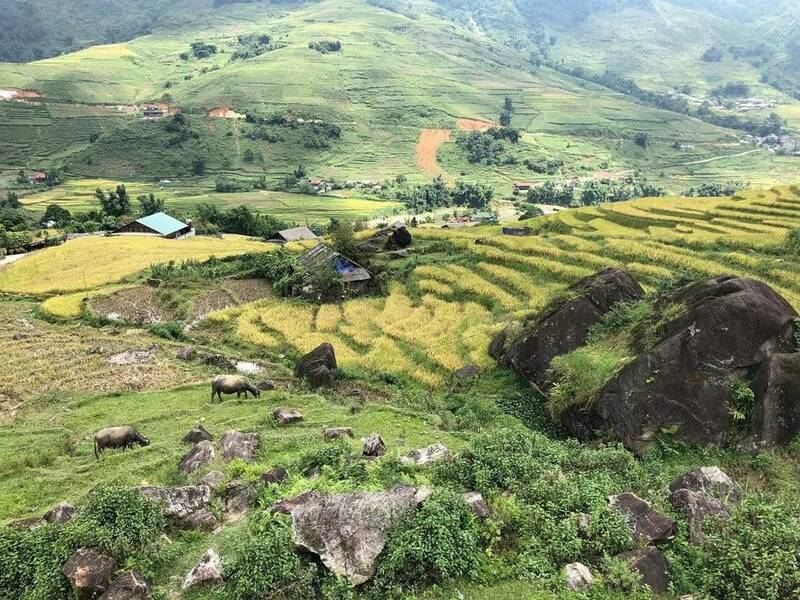 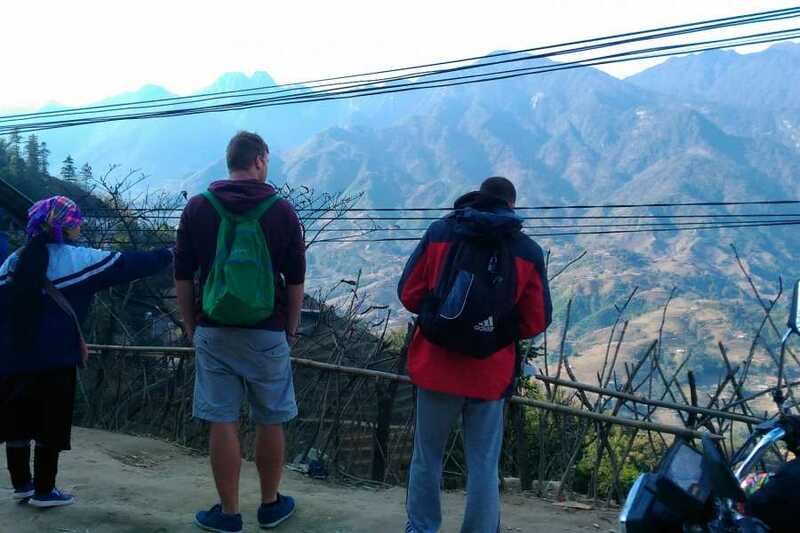 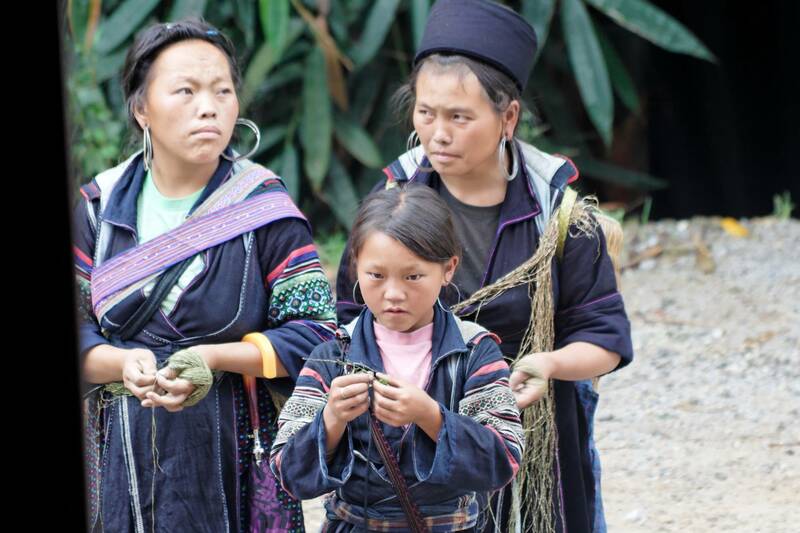 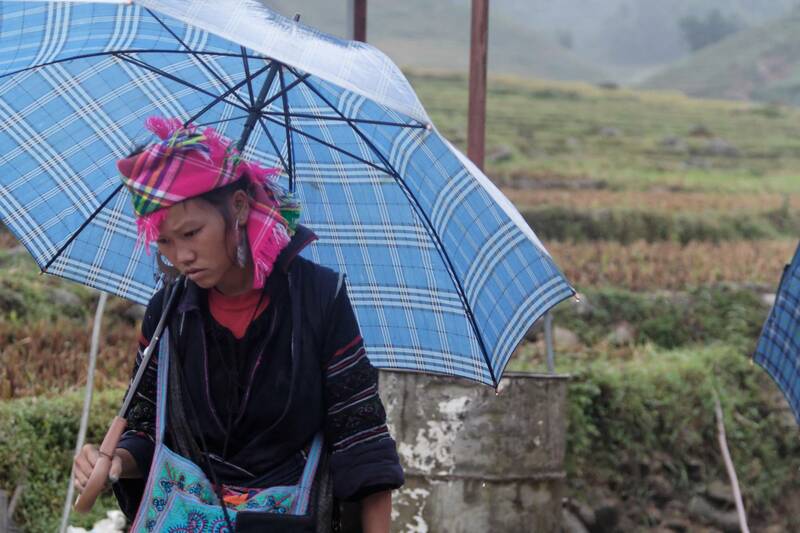 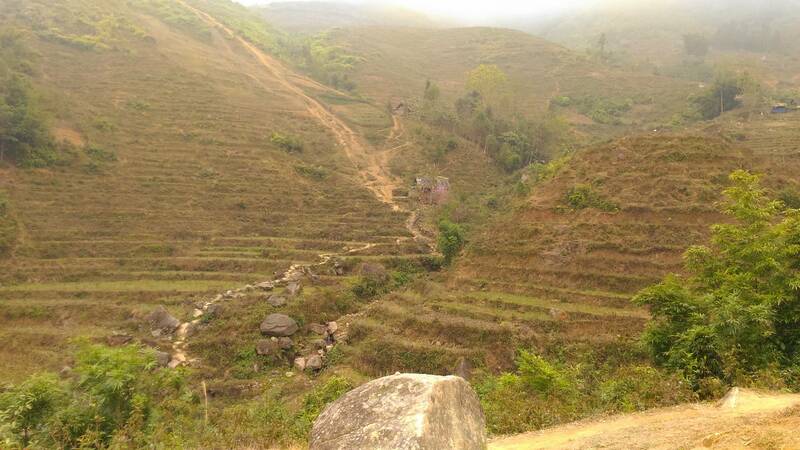 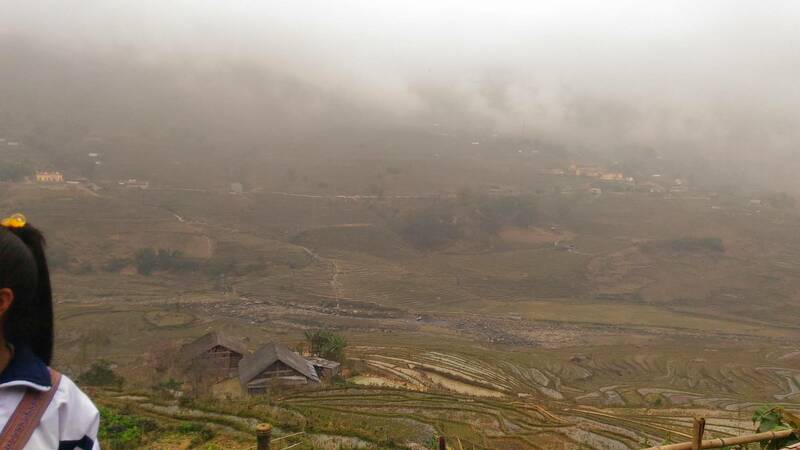 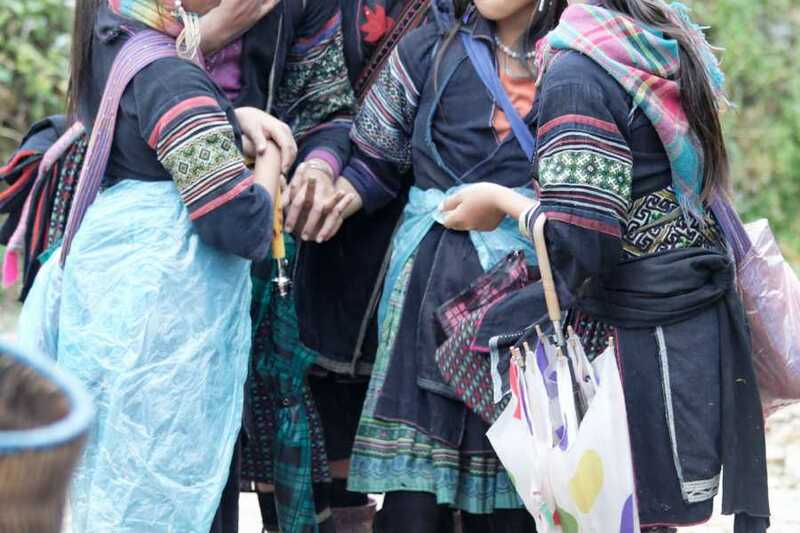 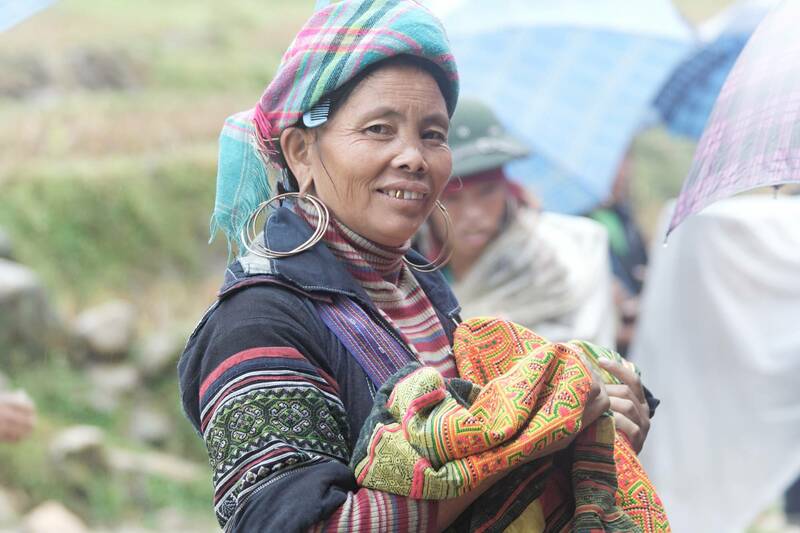 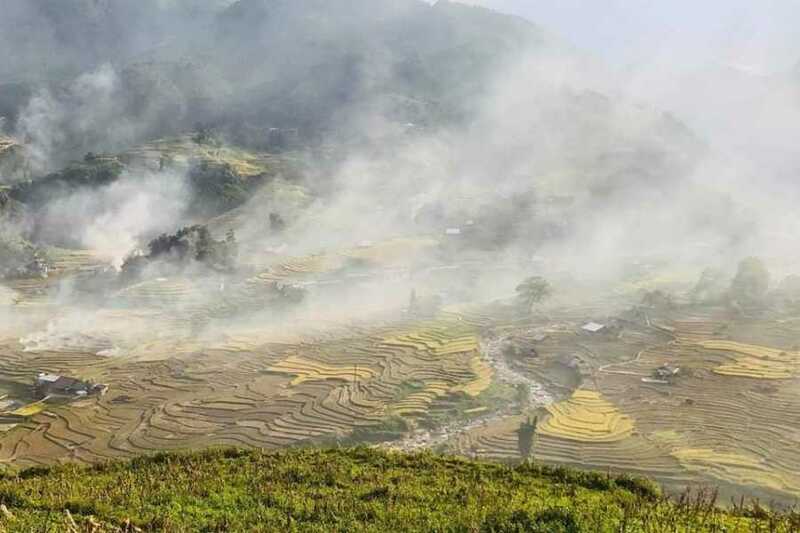 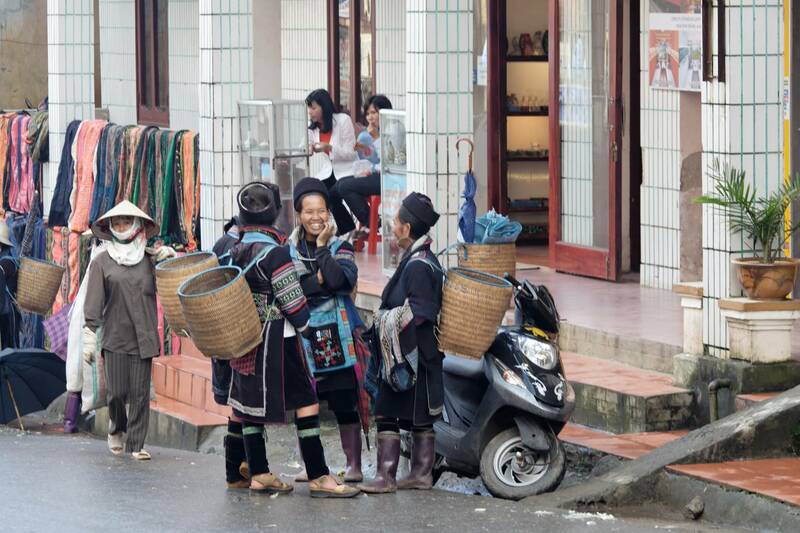 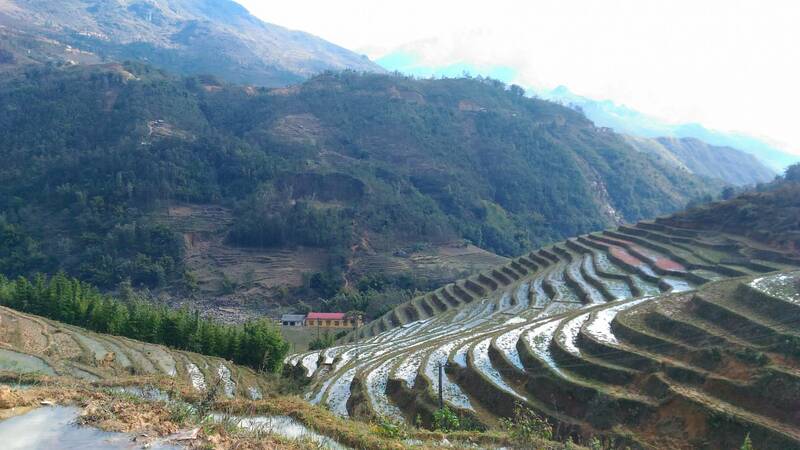 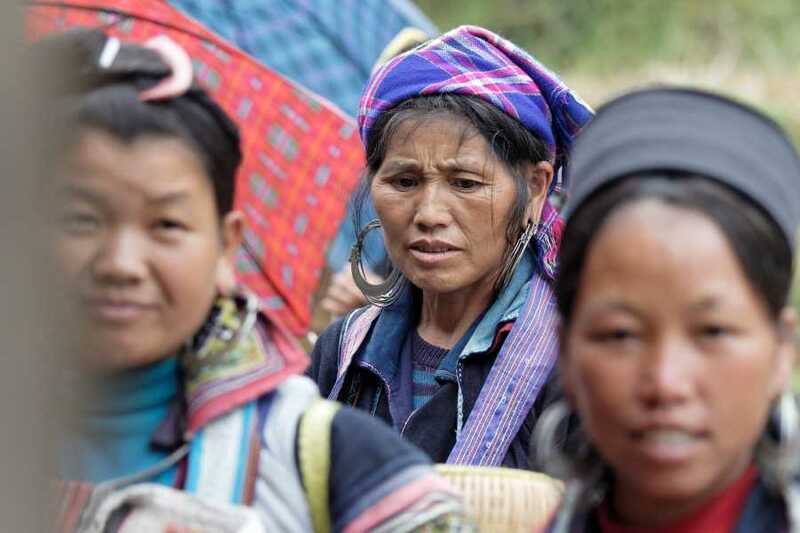 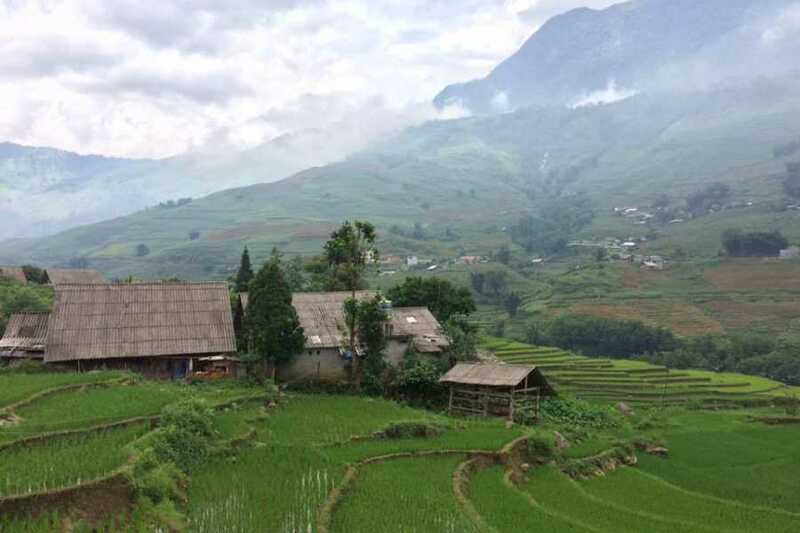 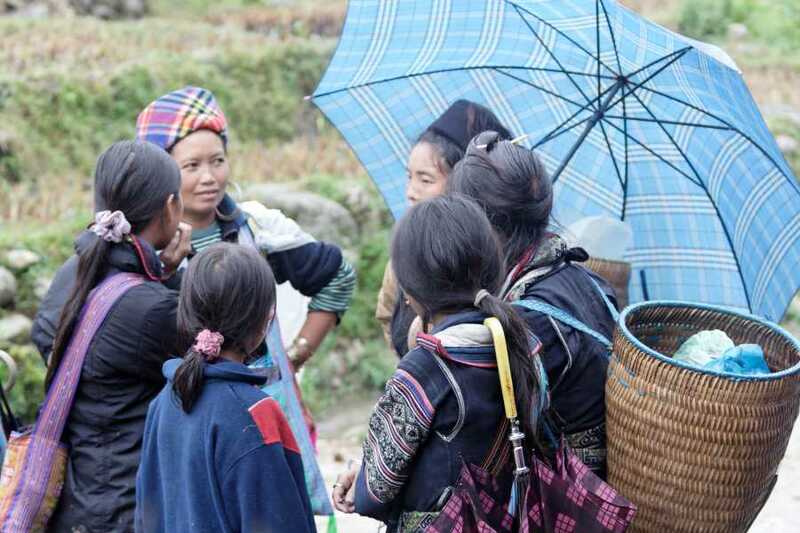 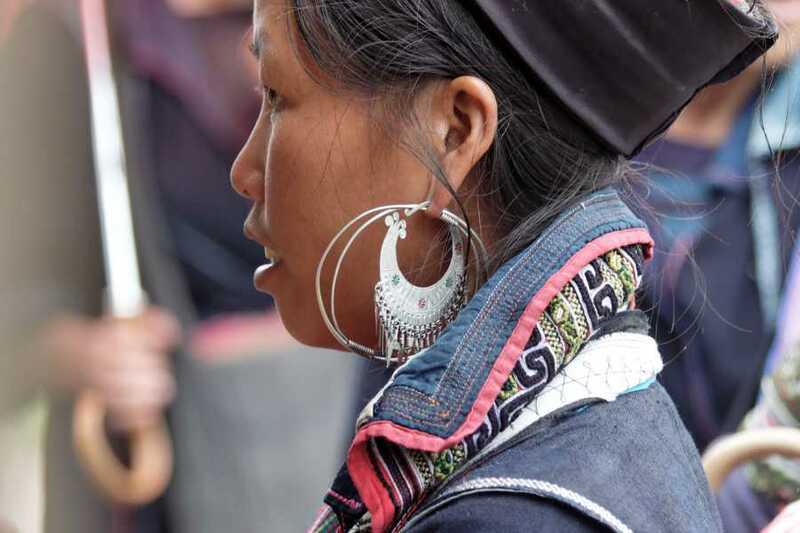 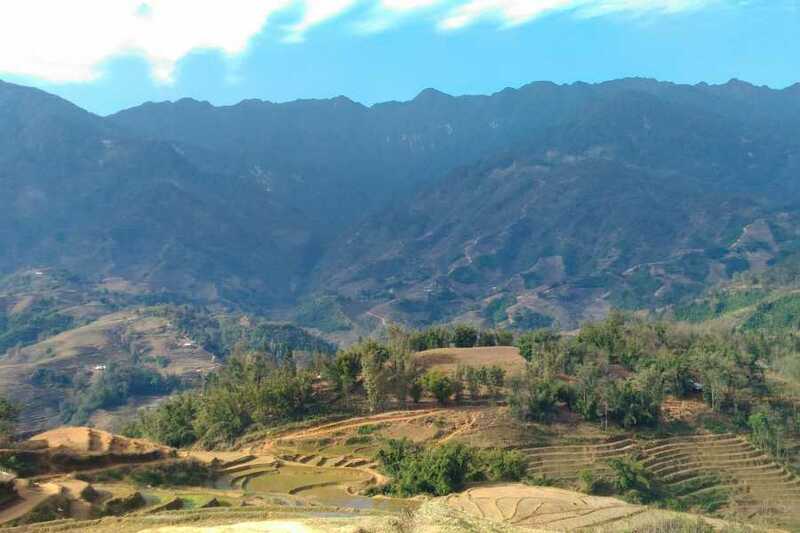 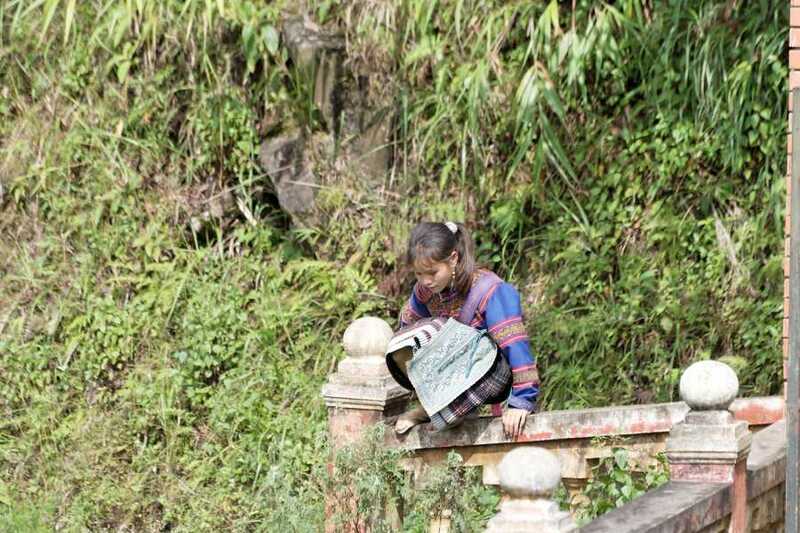 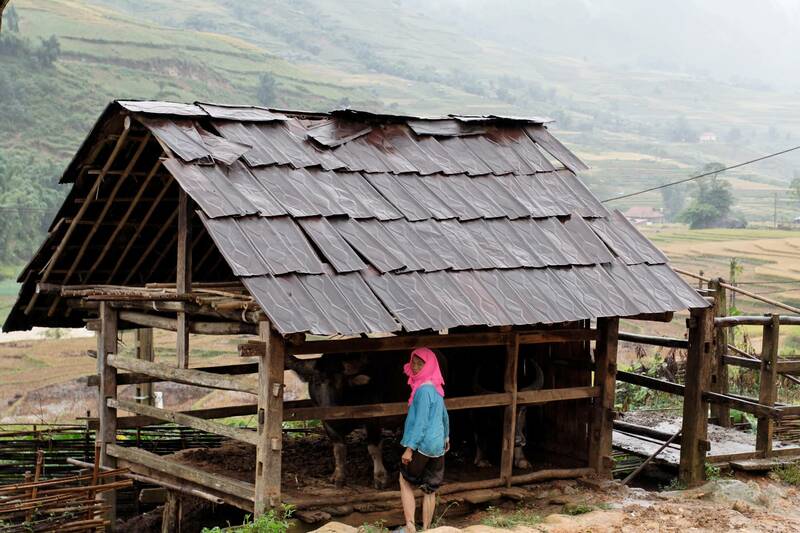 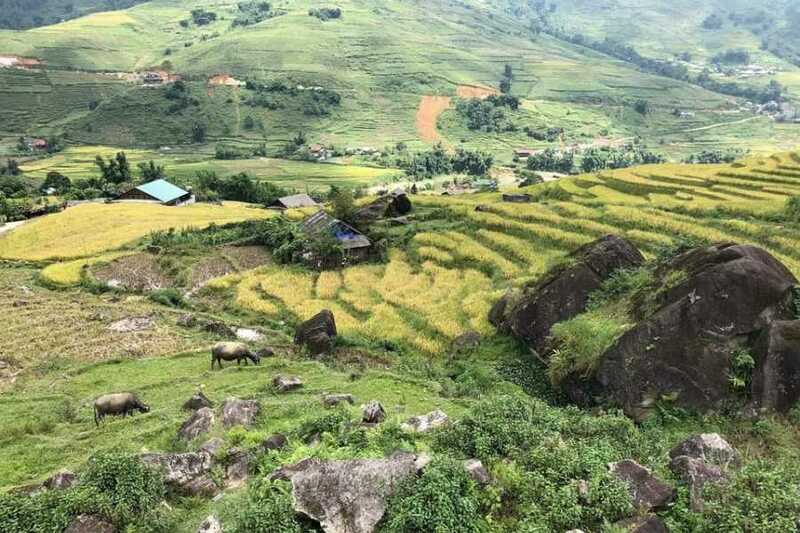 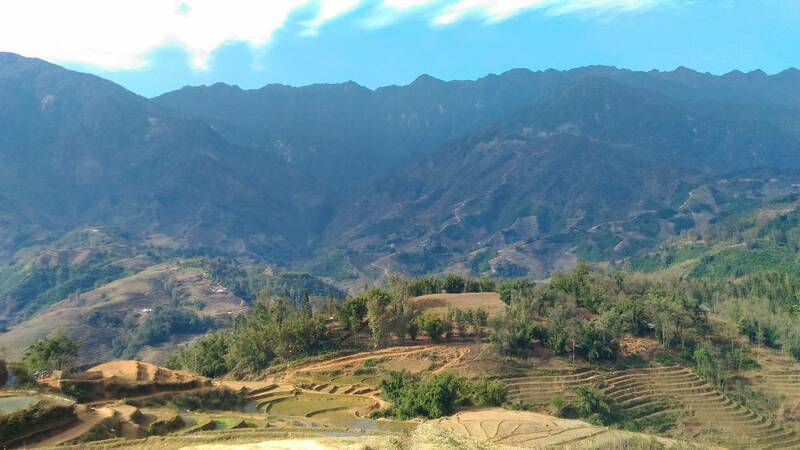 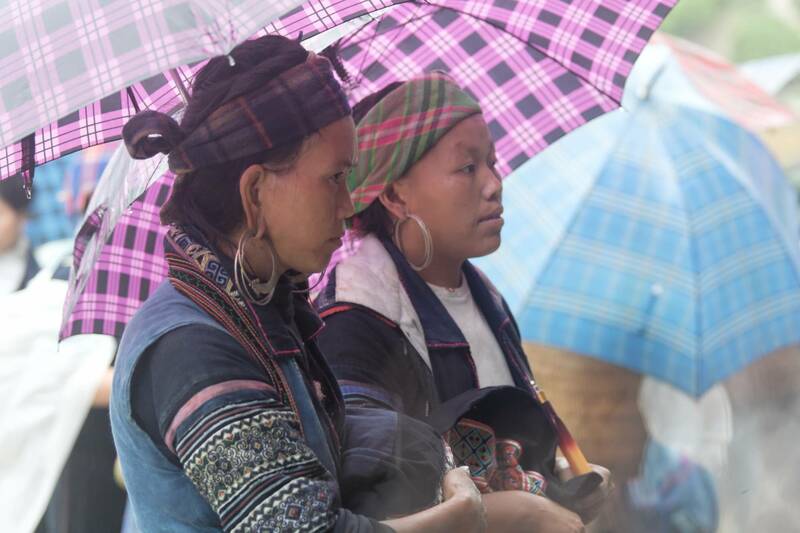 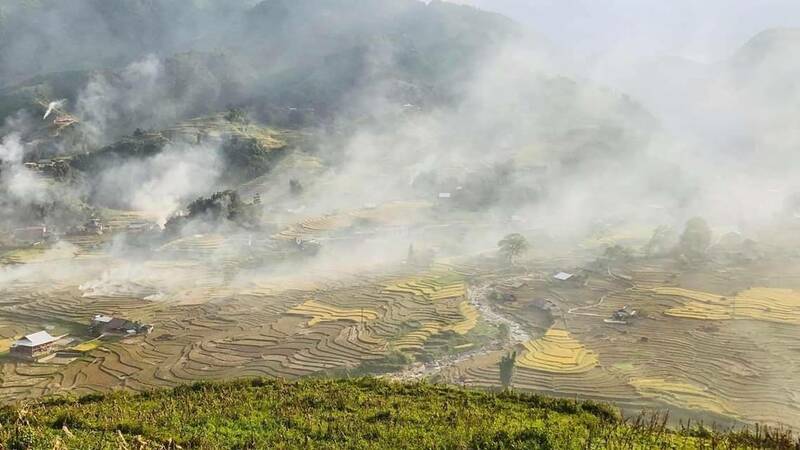 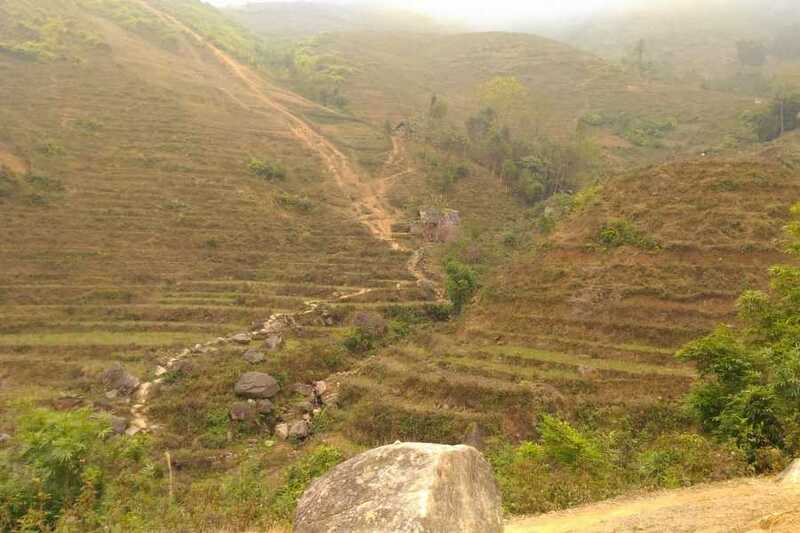 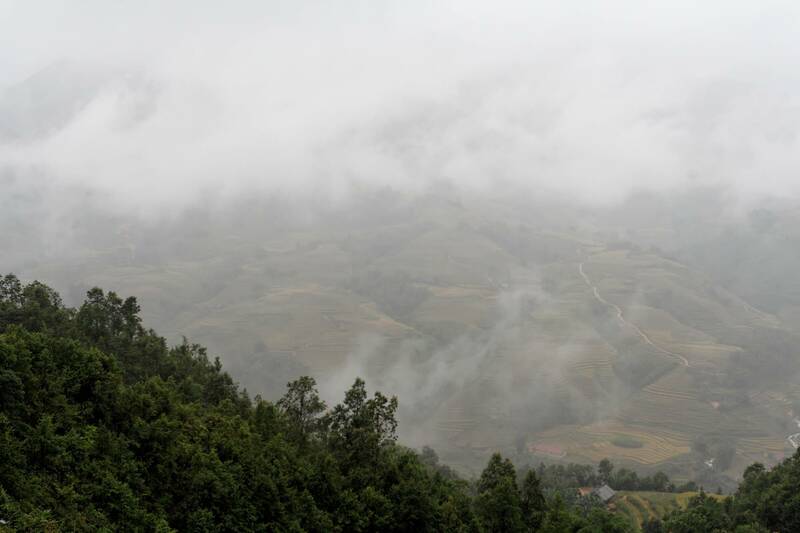 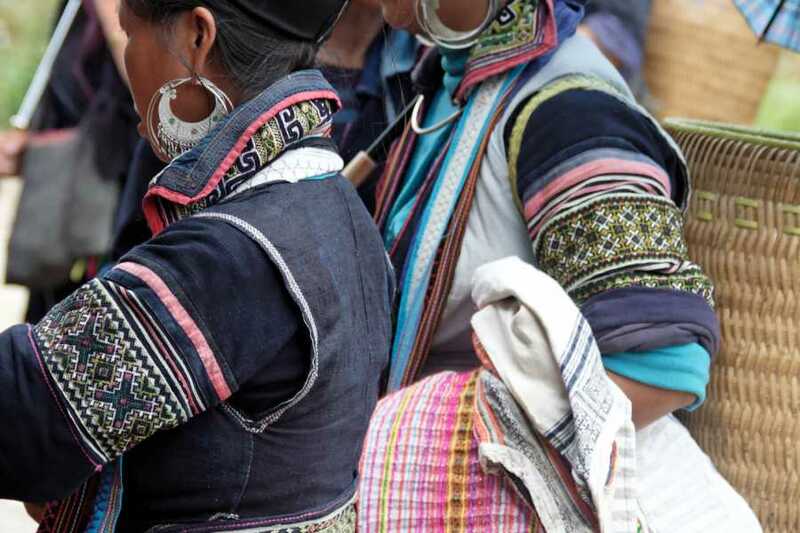 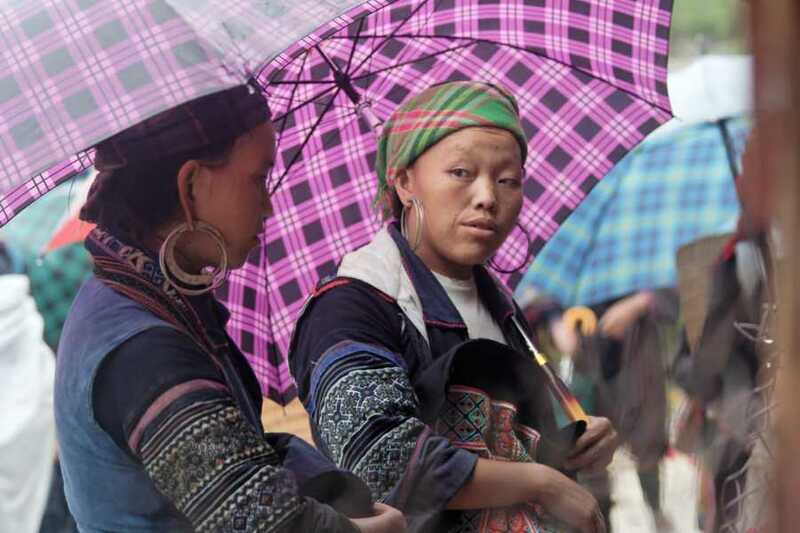 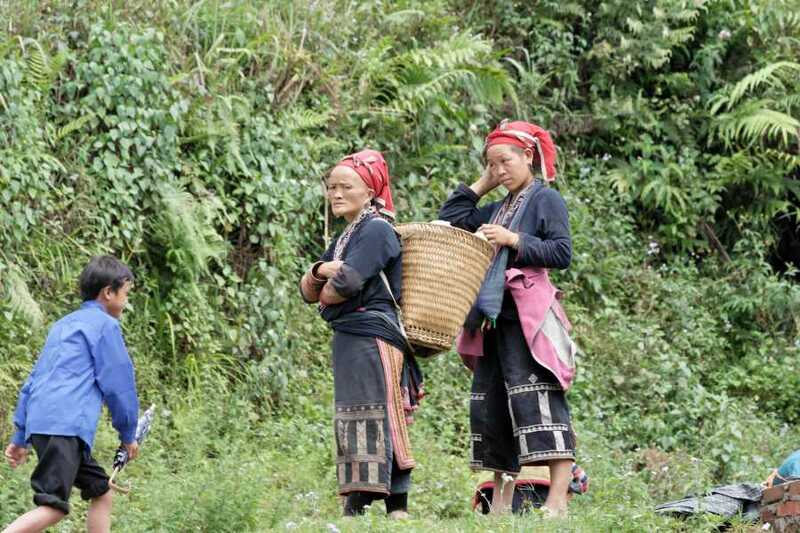 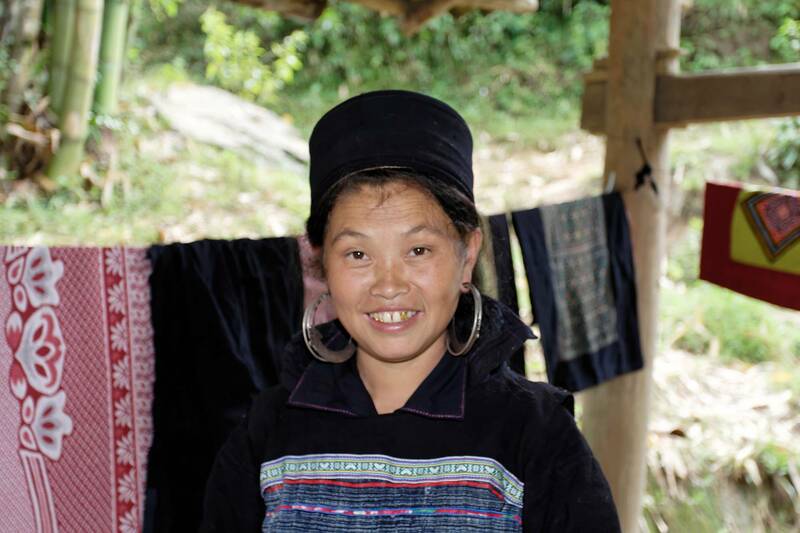 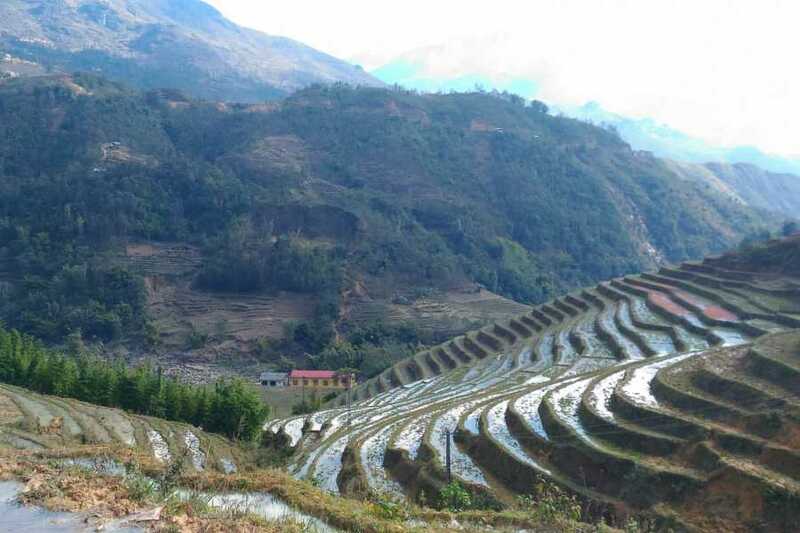 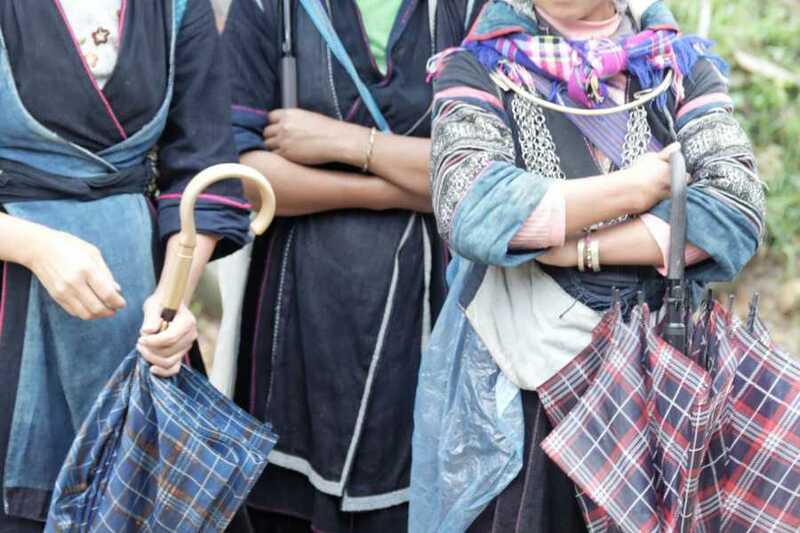 We take you away from the other groups travelling around Sapa and show you what life is really like in this mountain area. 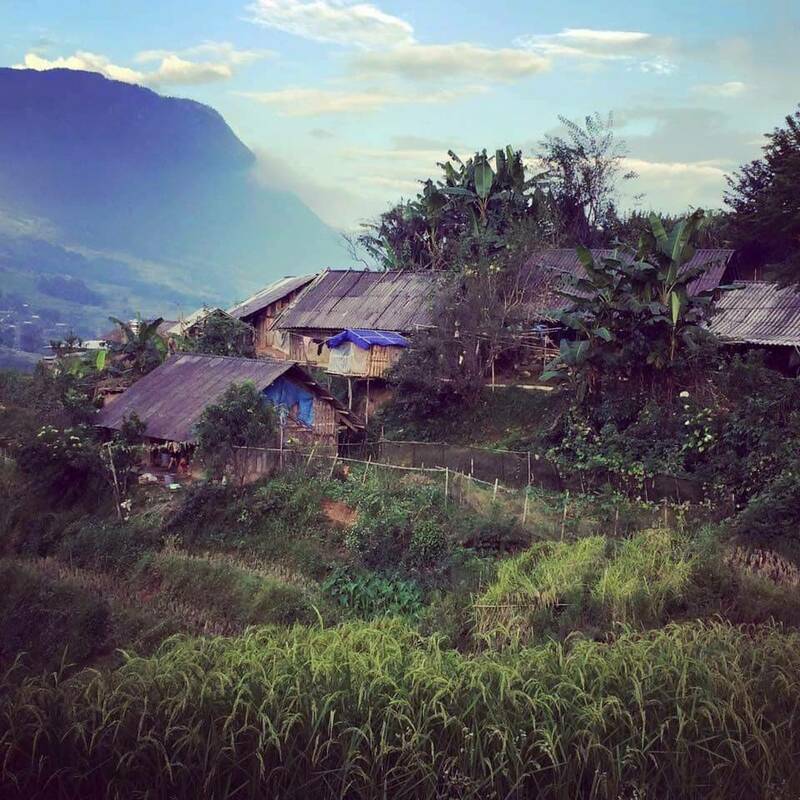 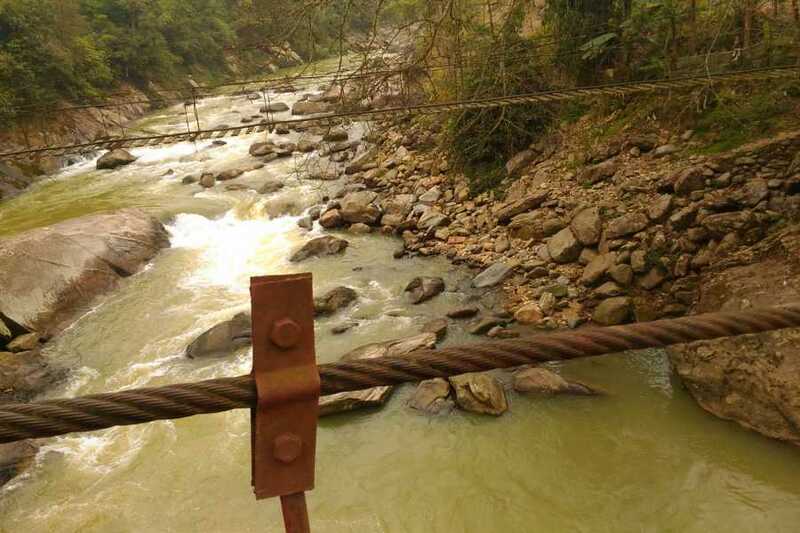 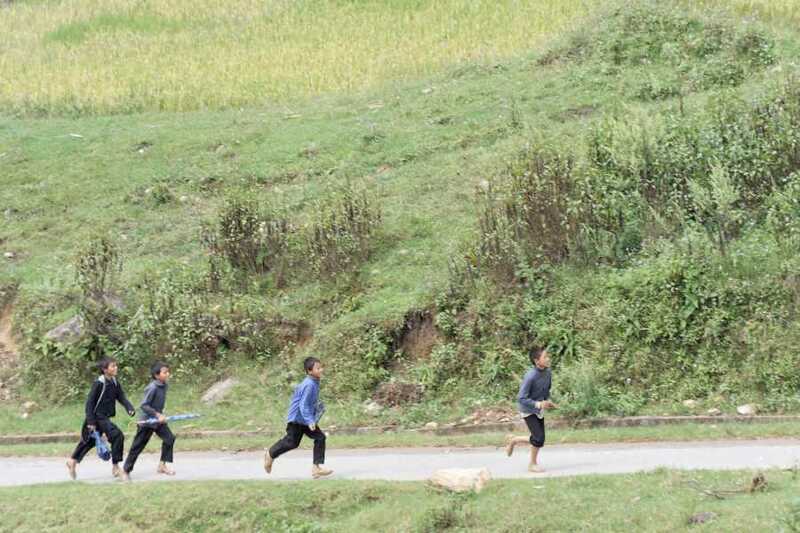 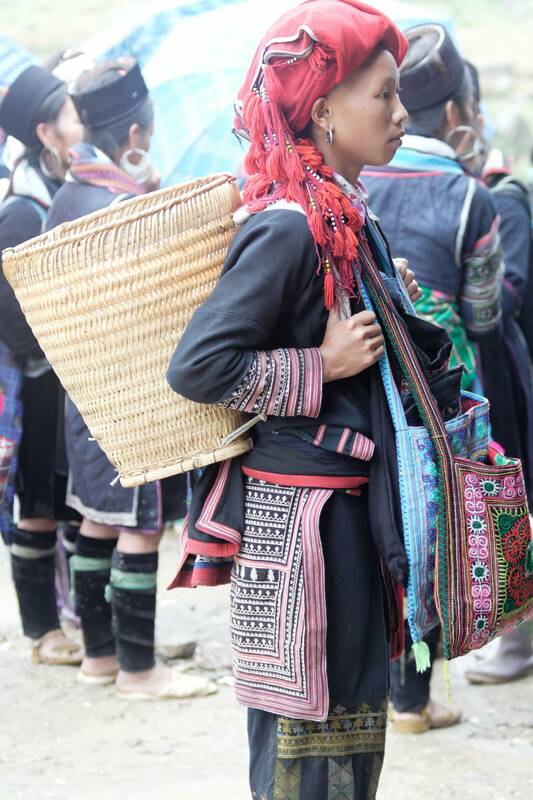 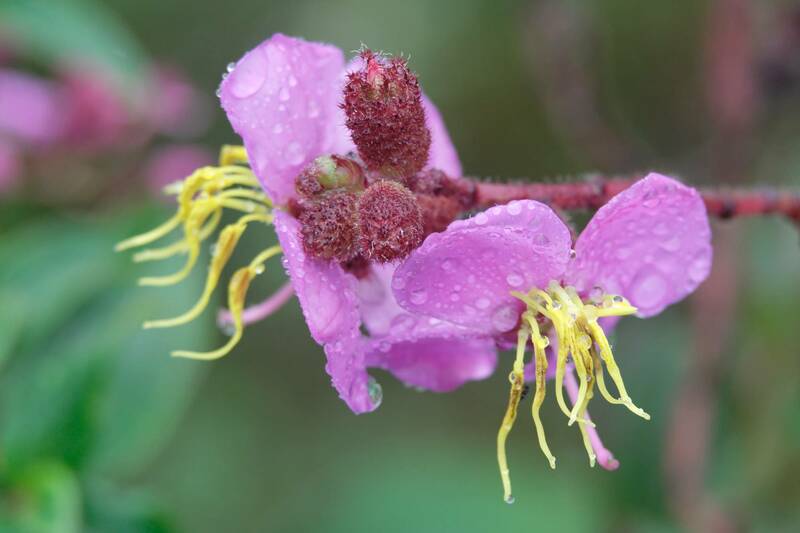 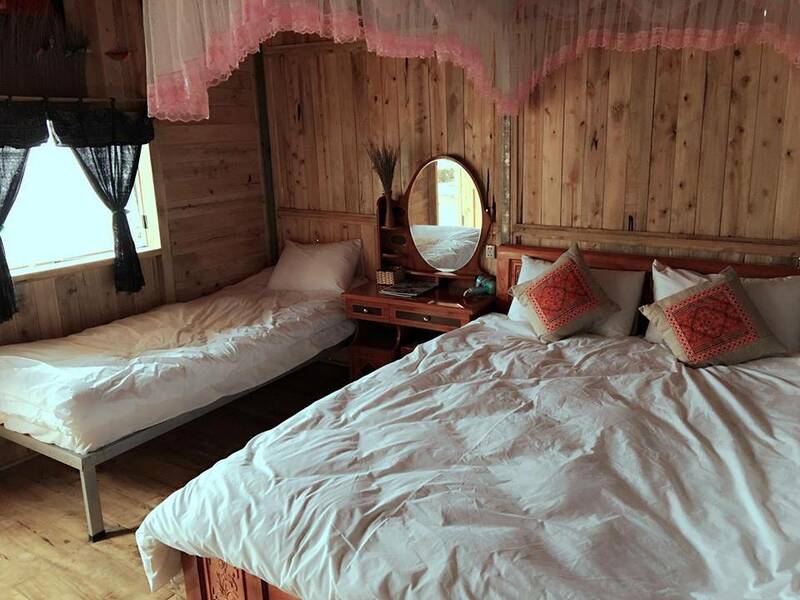 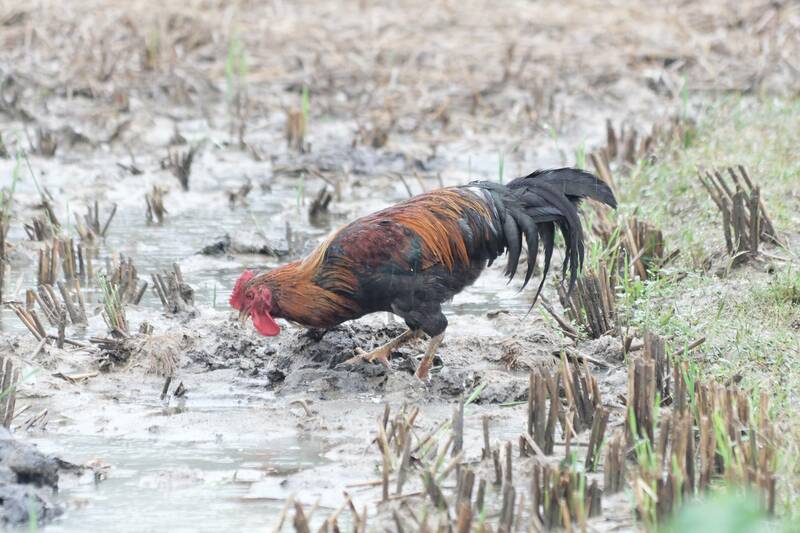 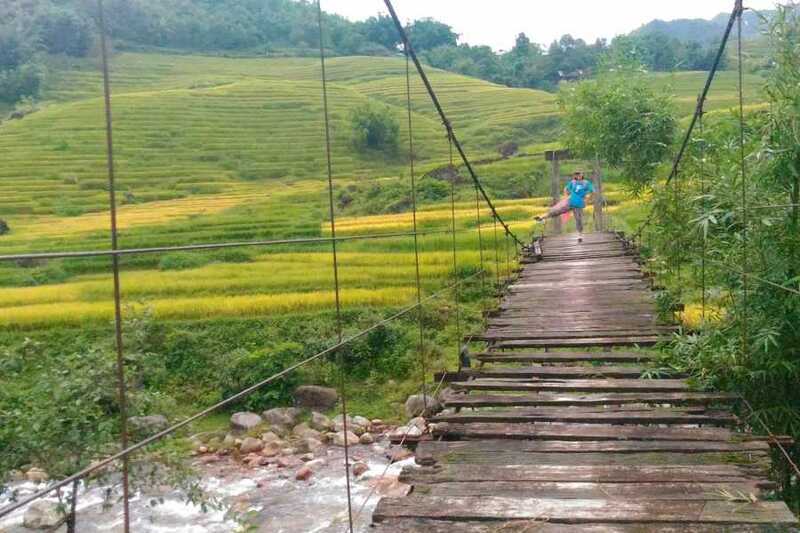 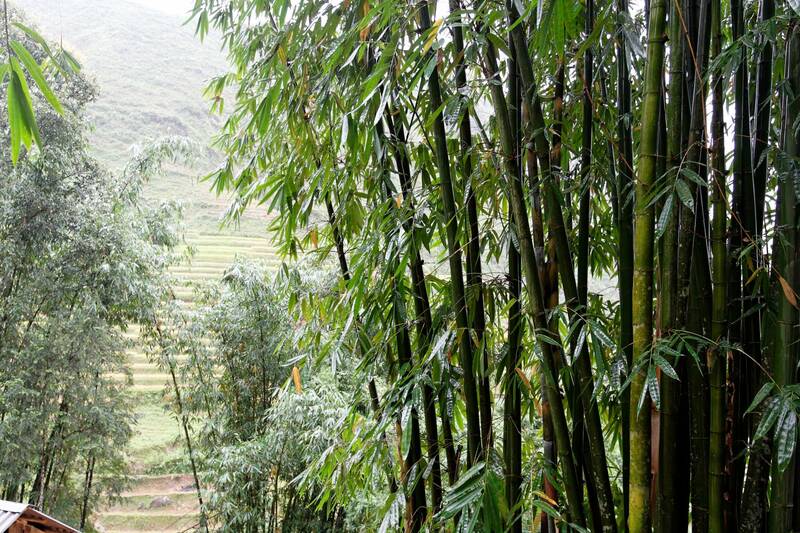 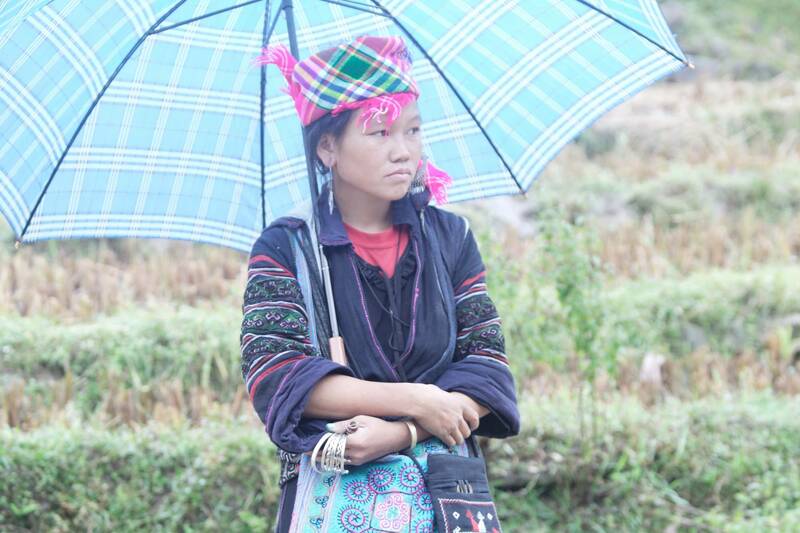 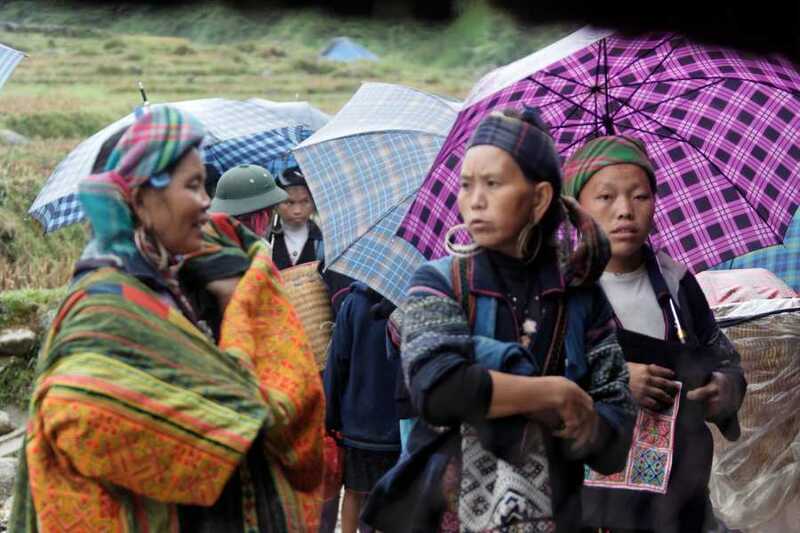 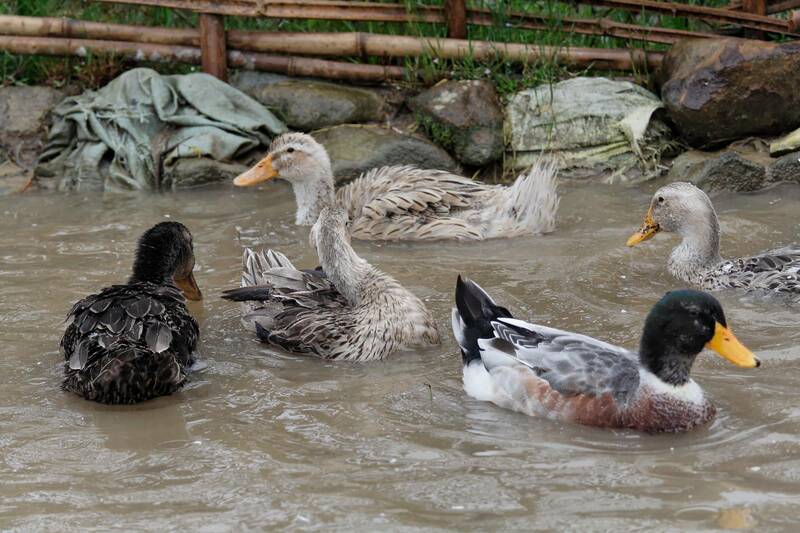 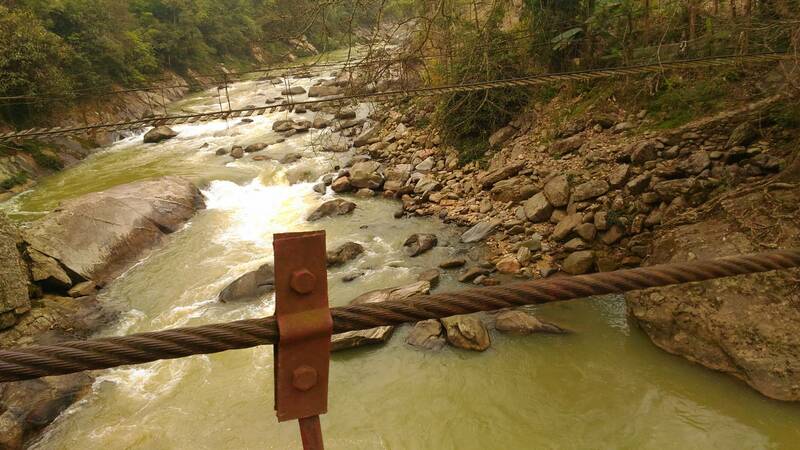 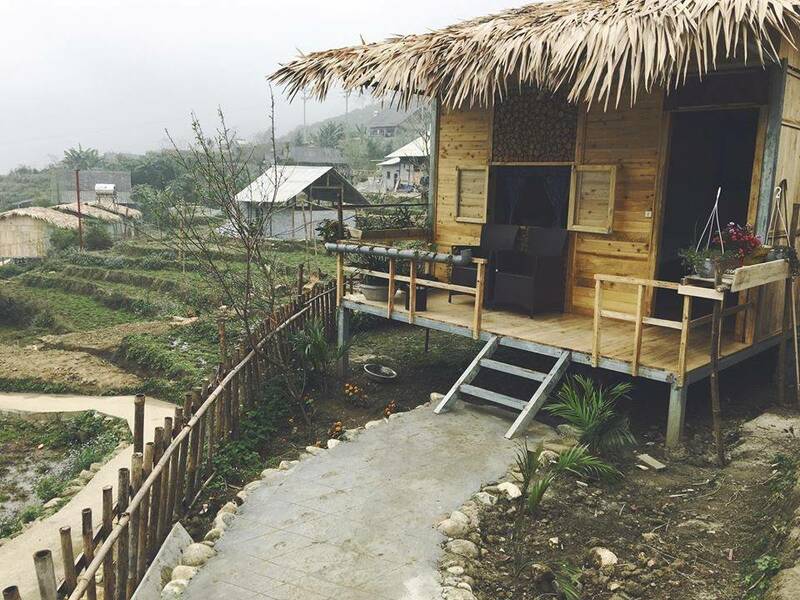 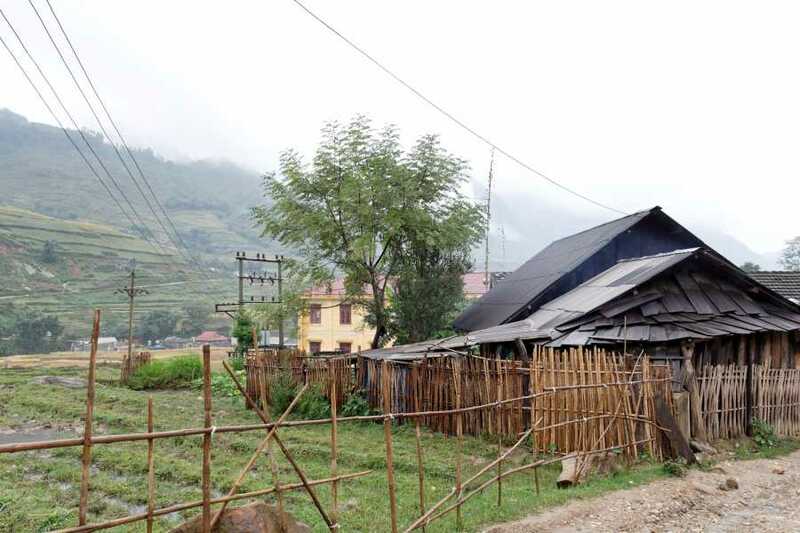 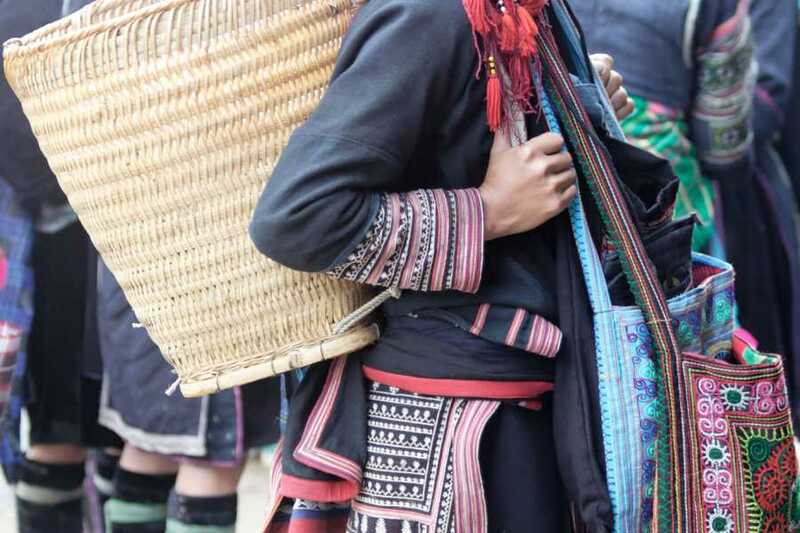 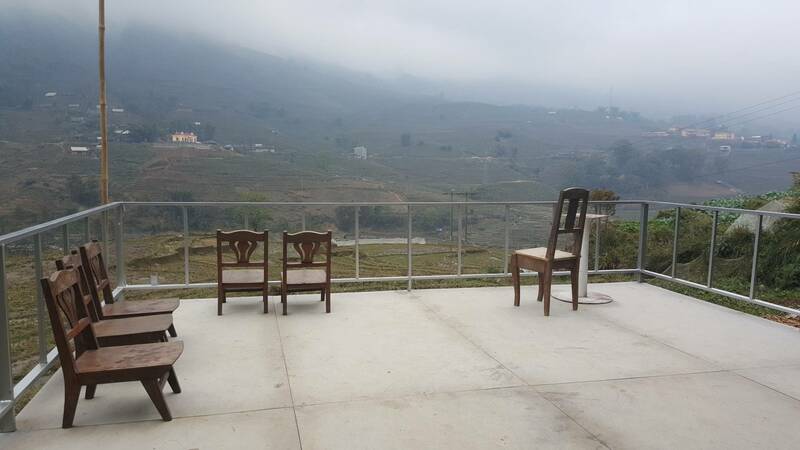 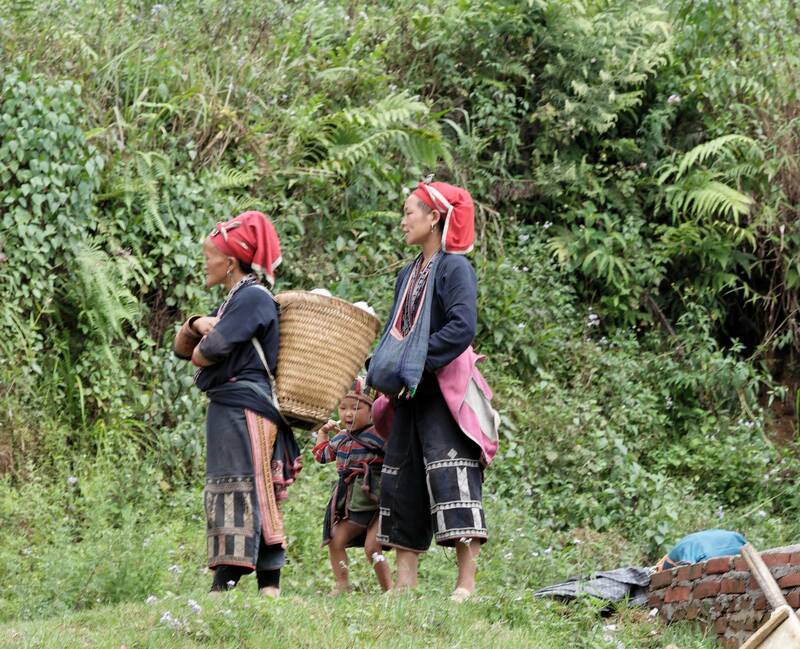 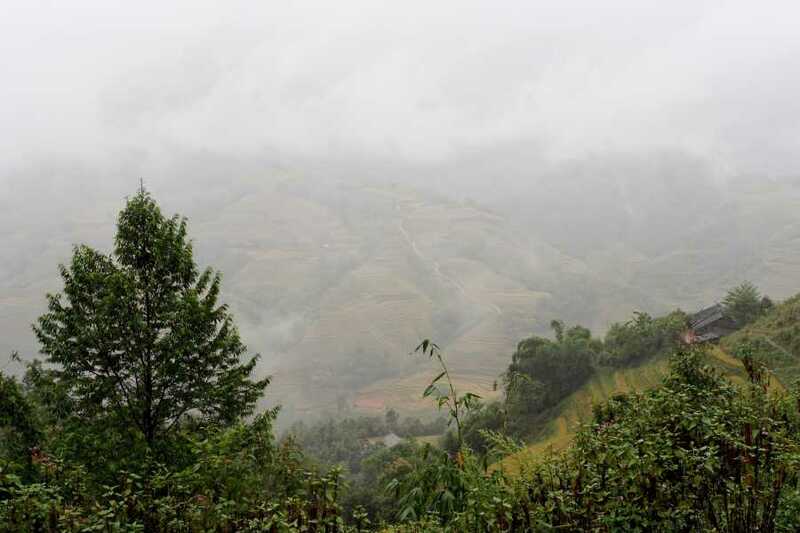 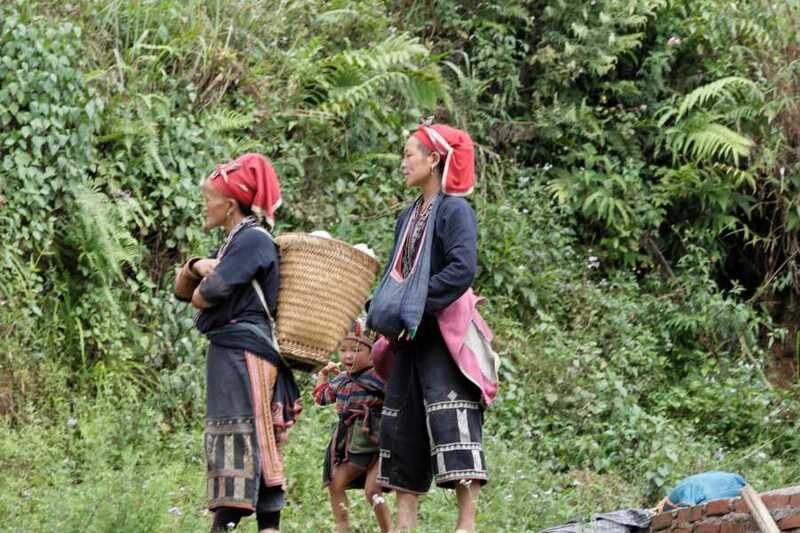 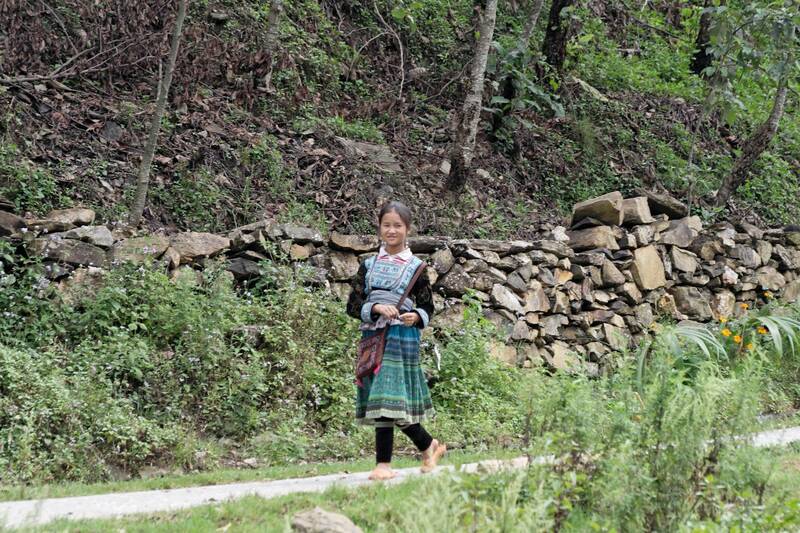 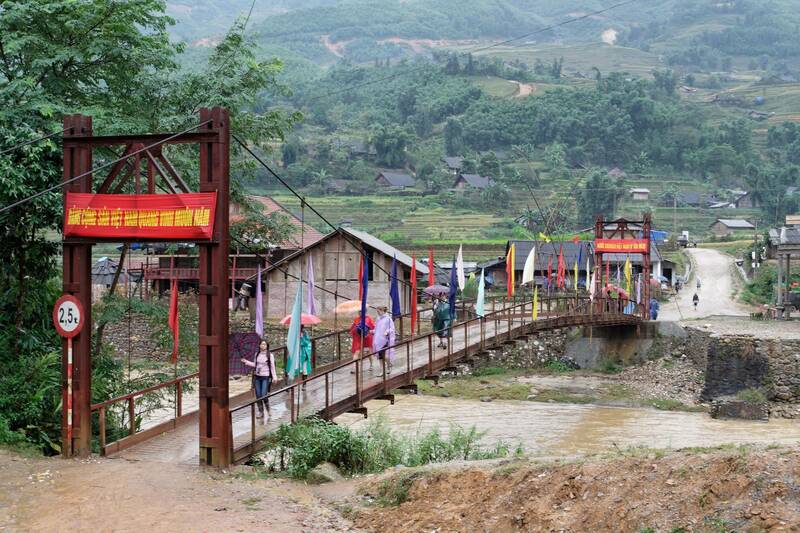 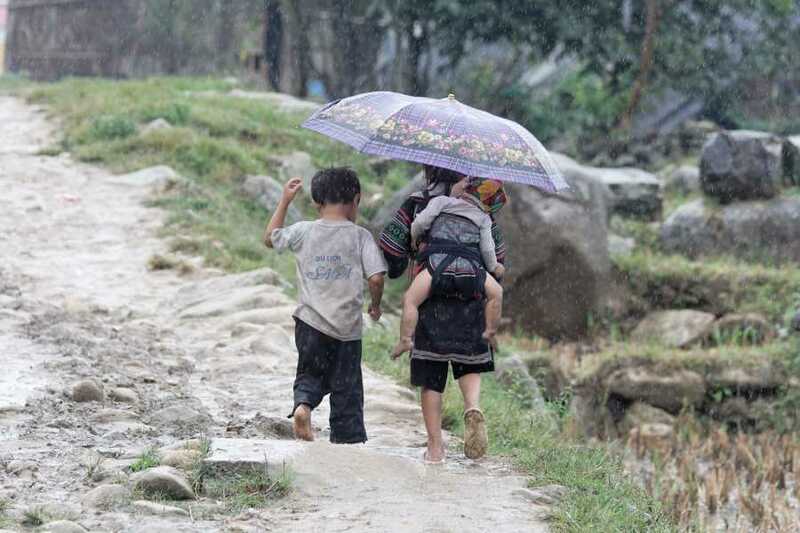 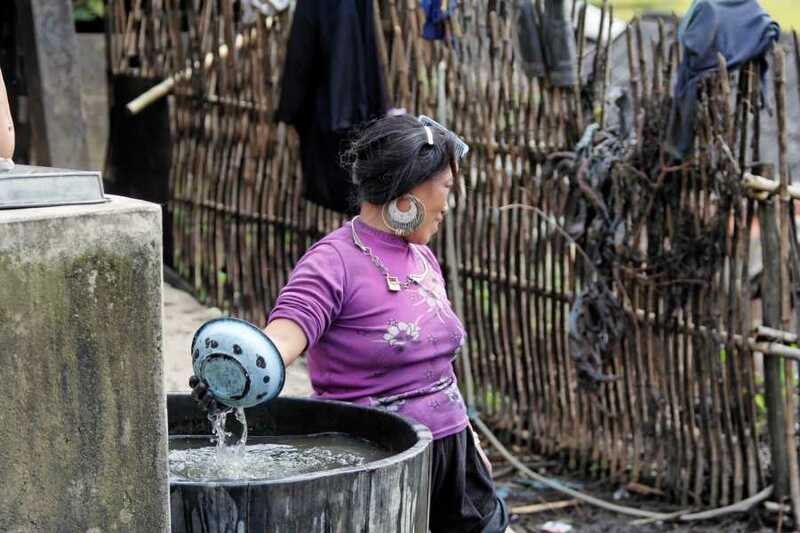 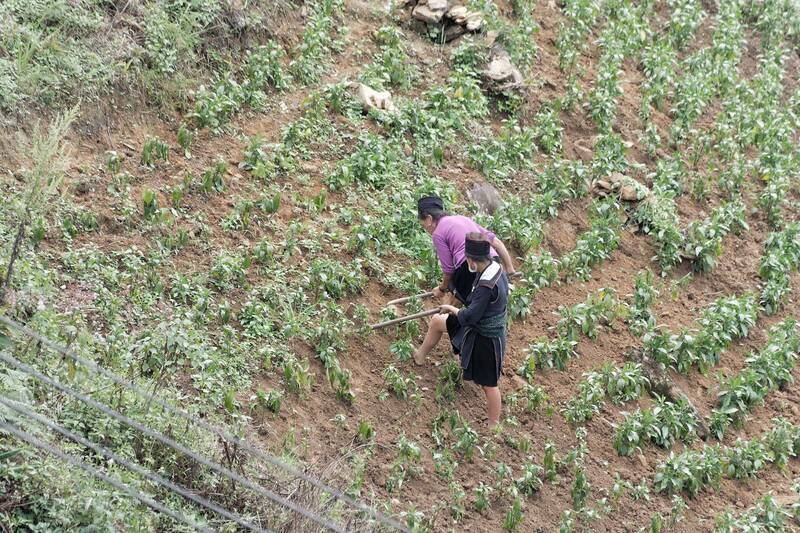 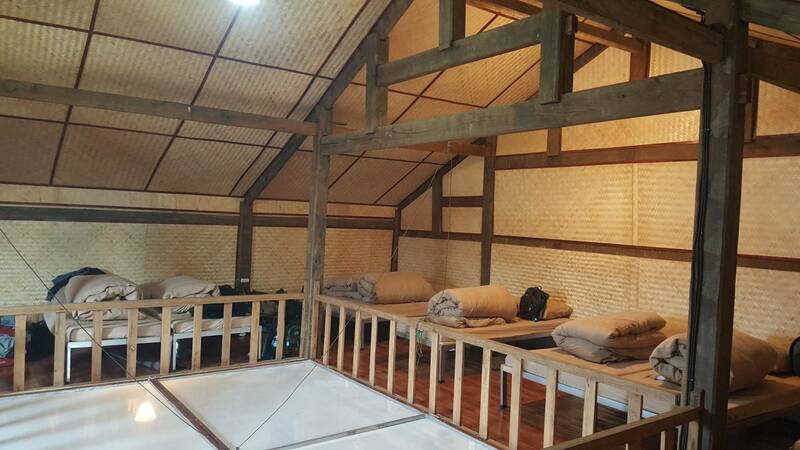 You will trek through the paddle fields, hills, streams to Lao Chai village. 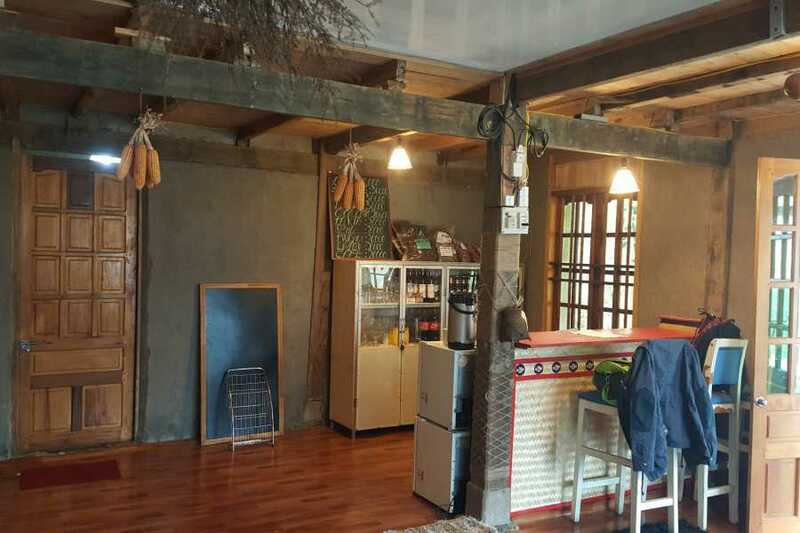 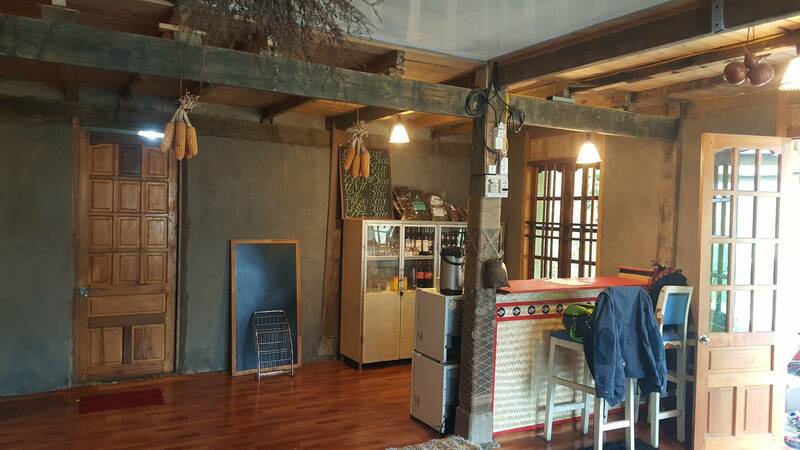 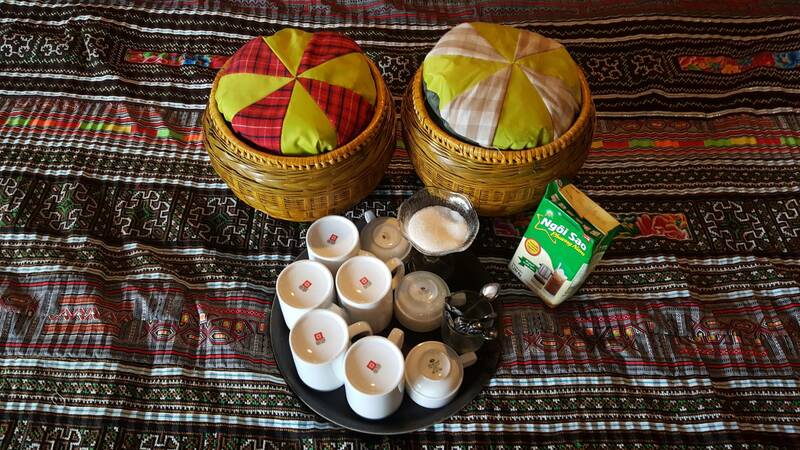 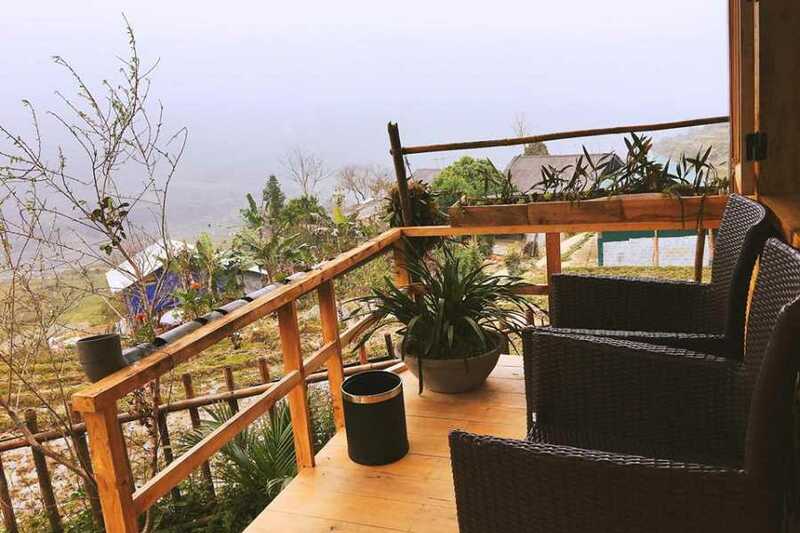 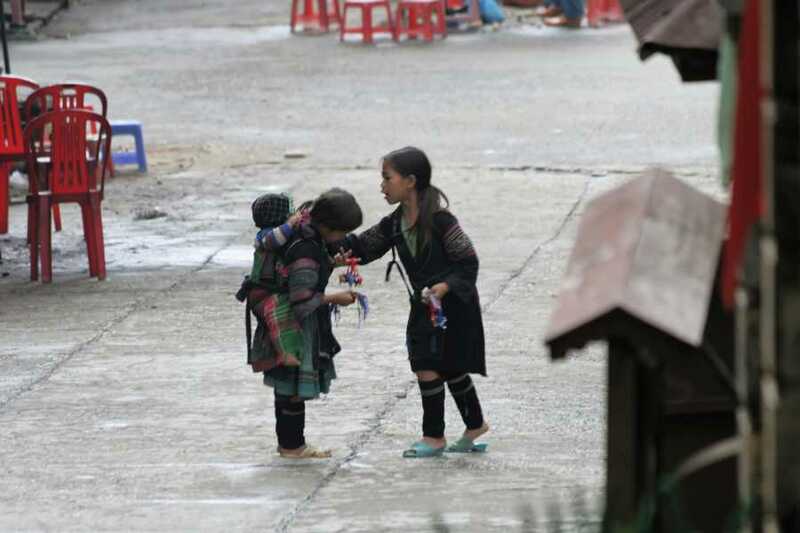 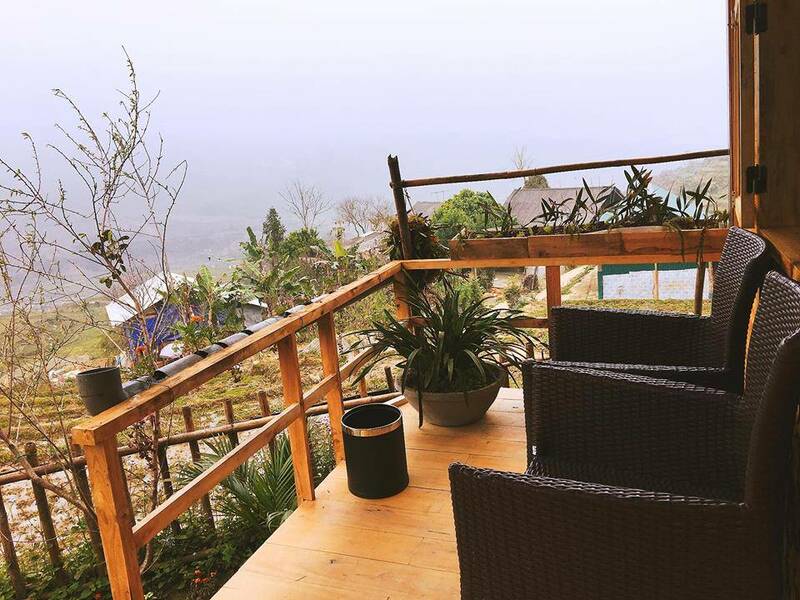 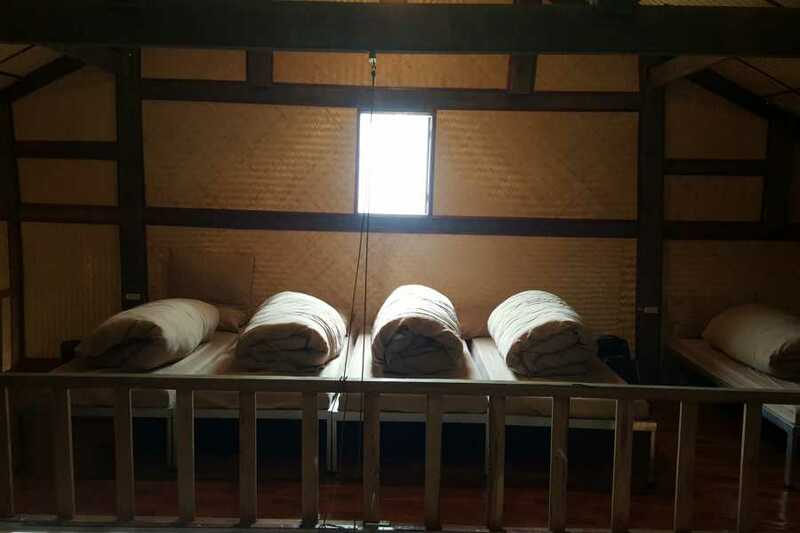 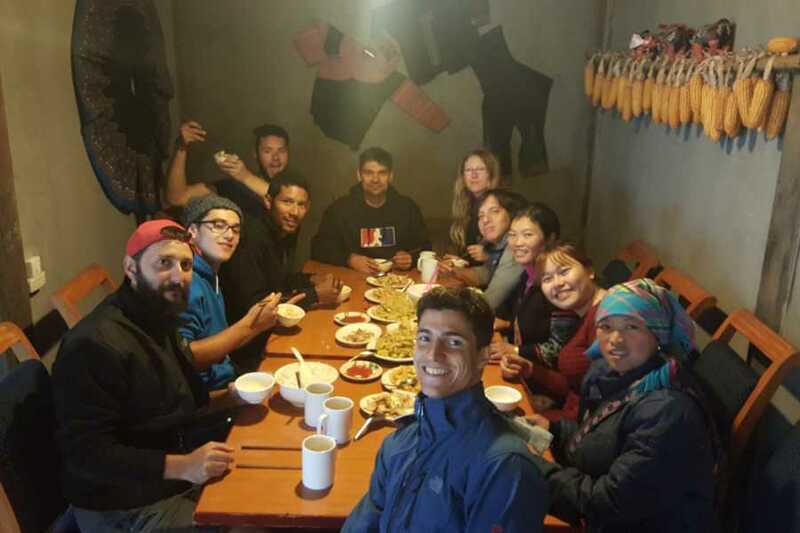 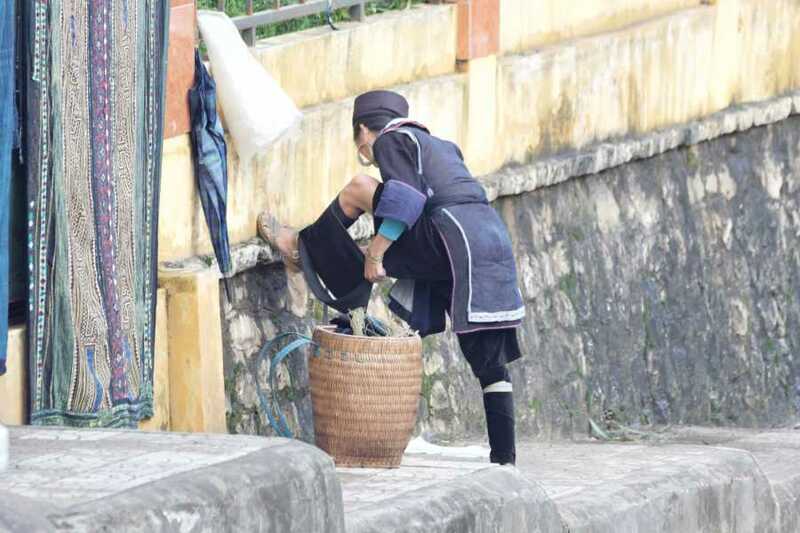 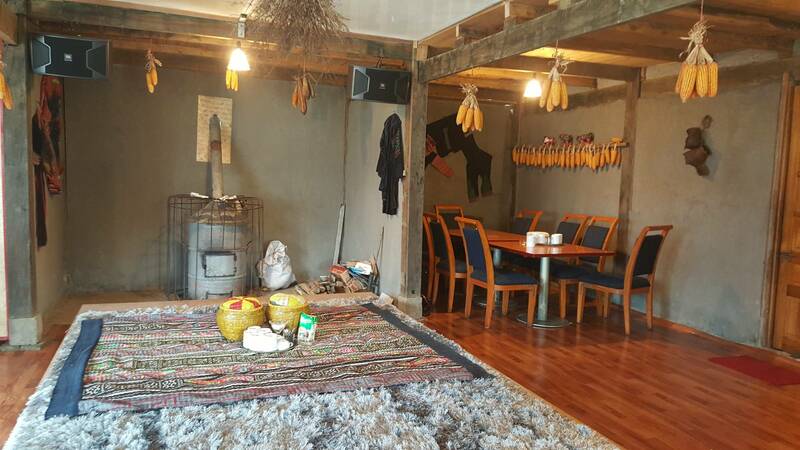 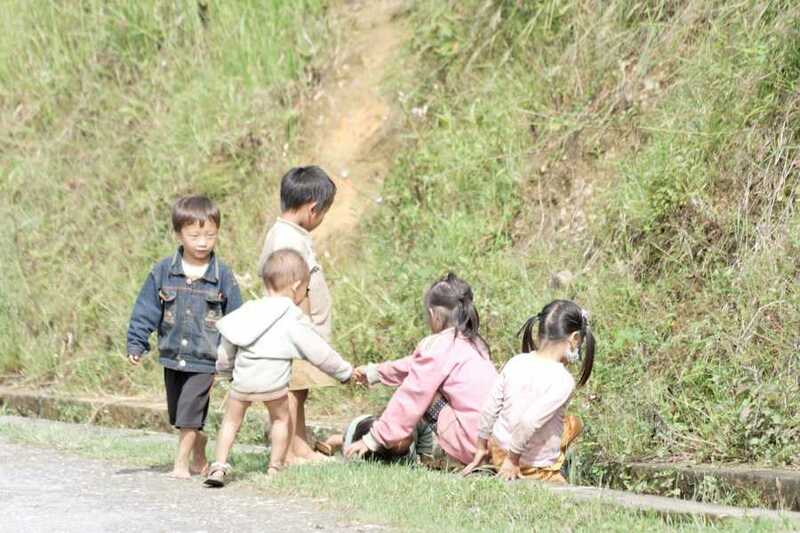 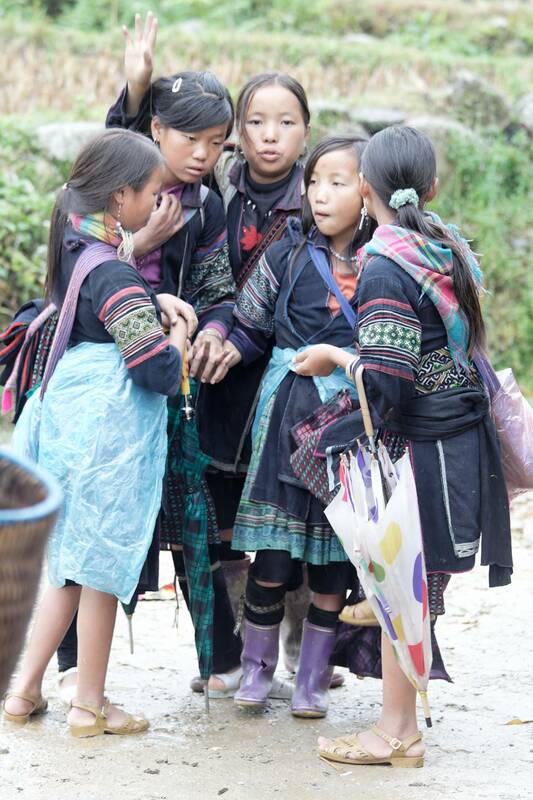 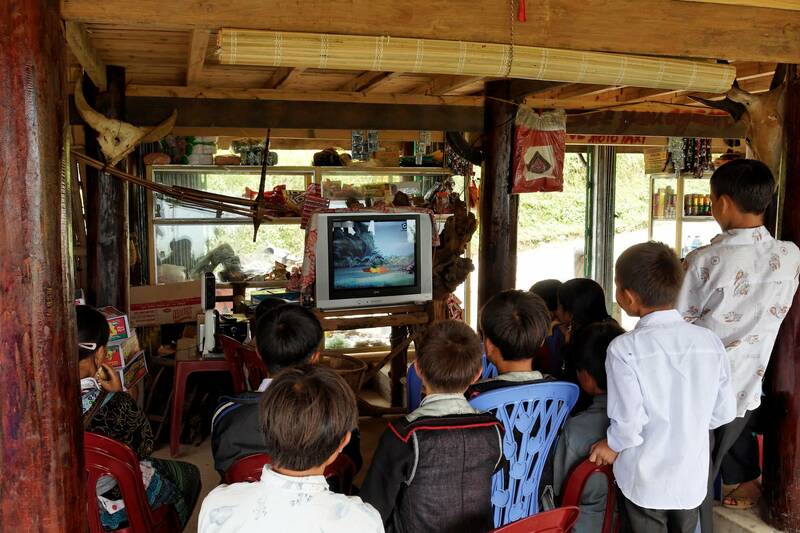 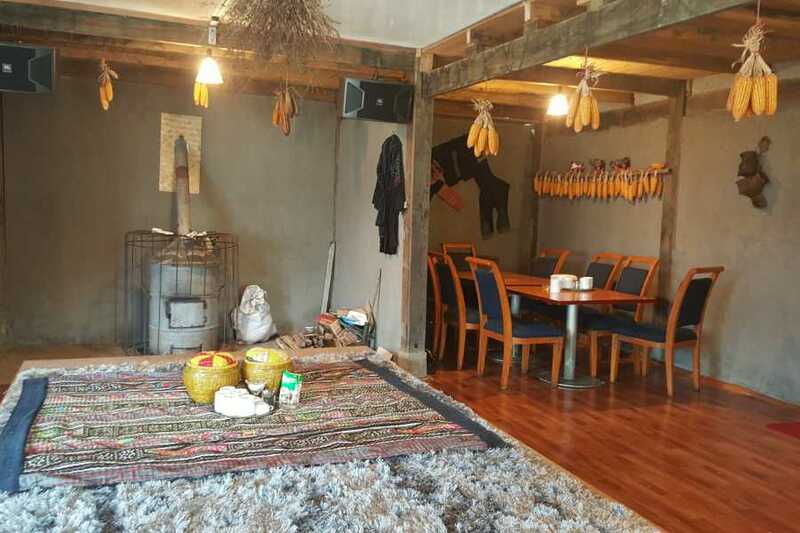 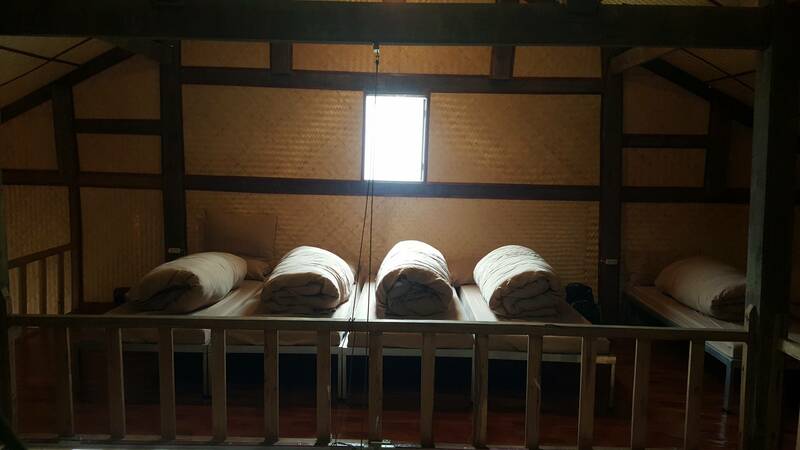 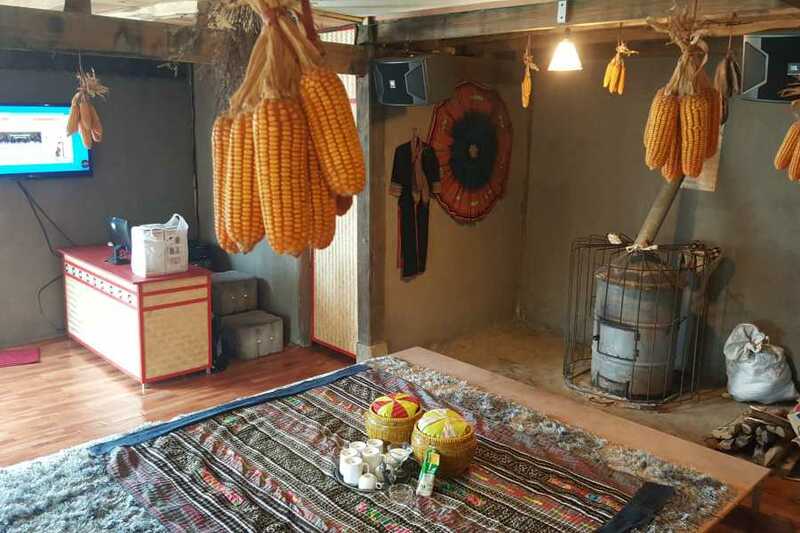 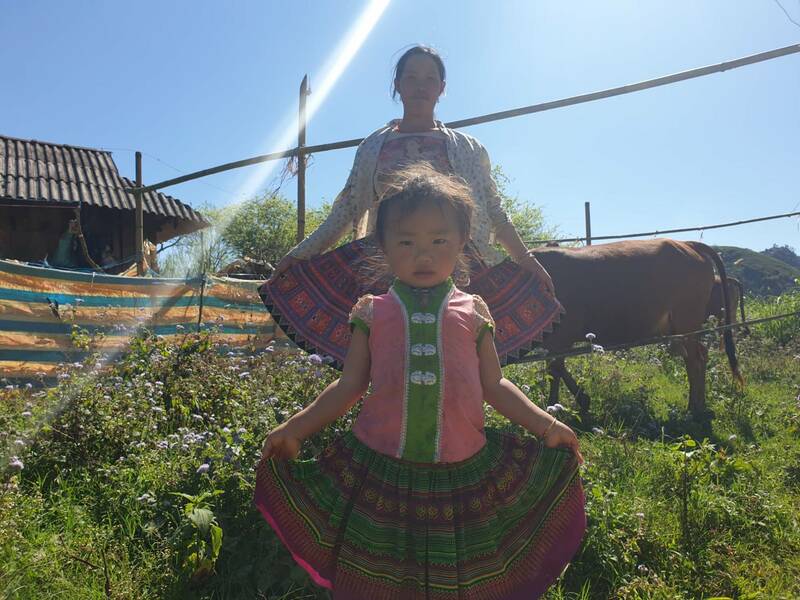 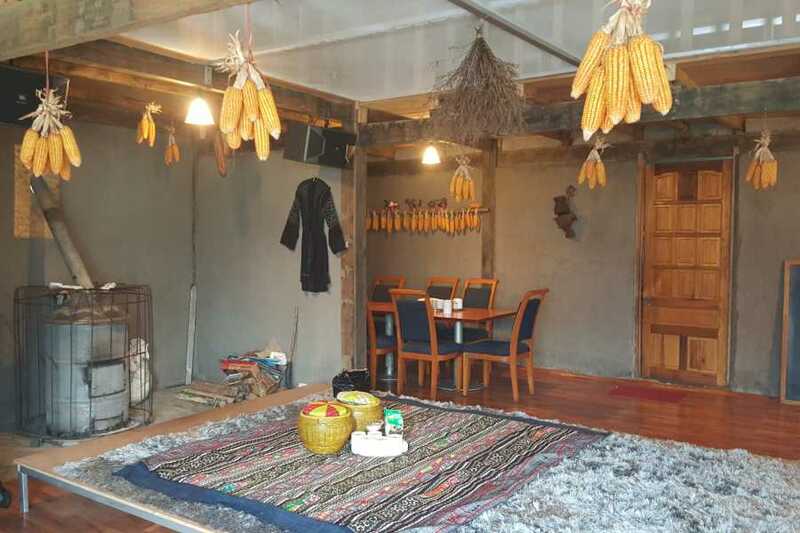 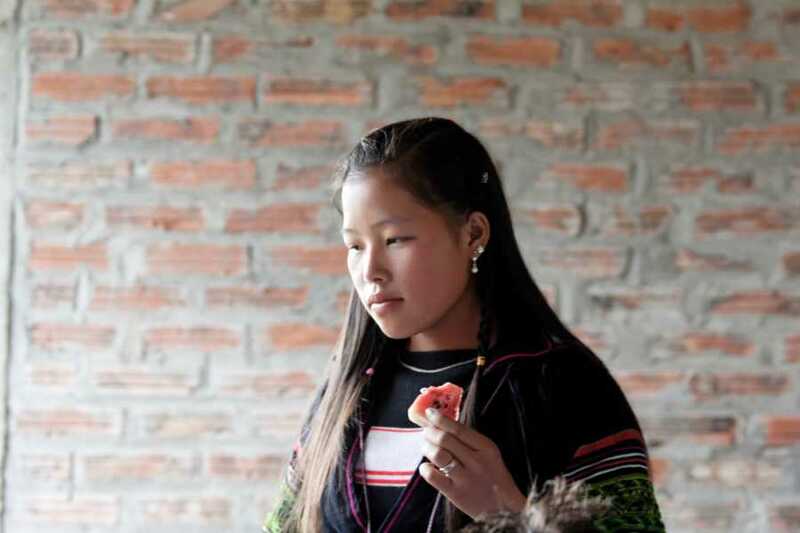 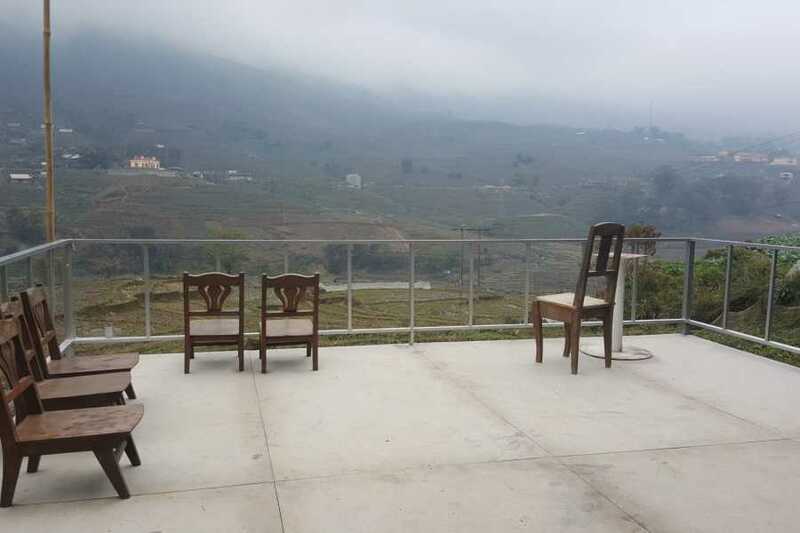 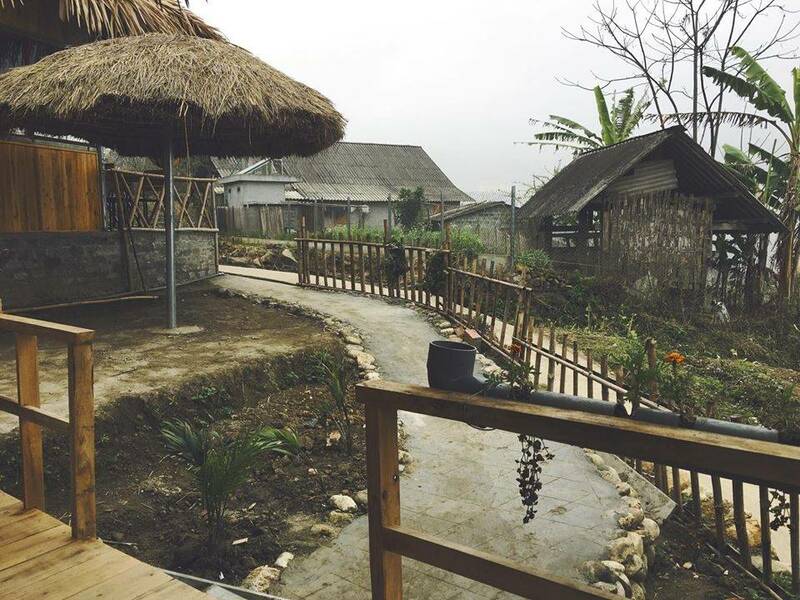 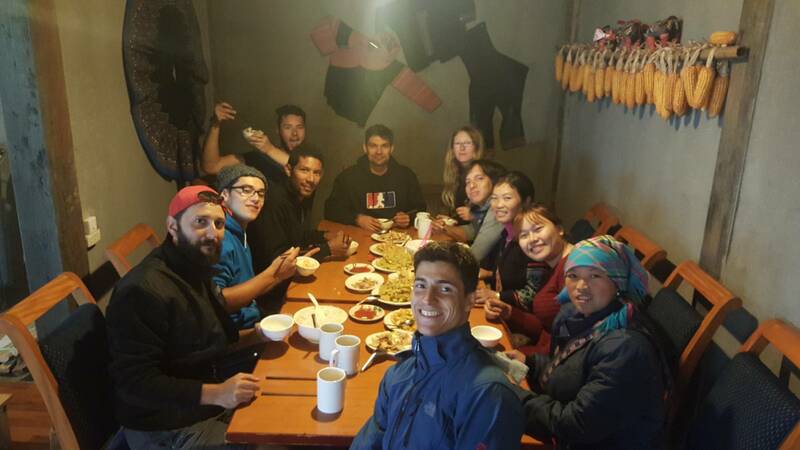 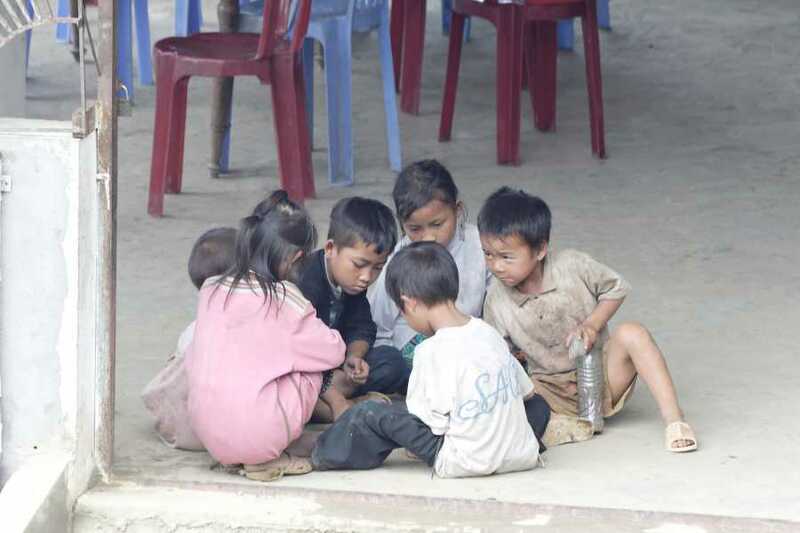 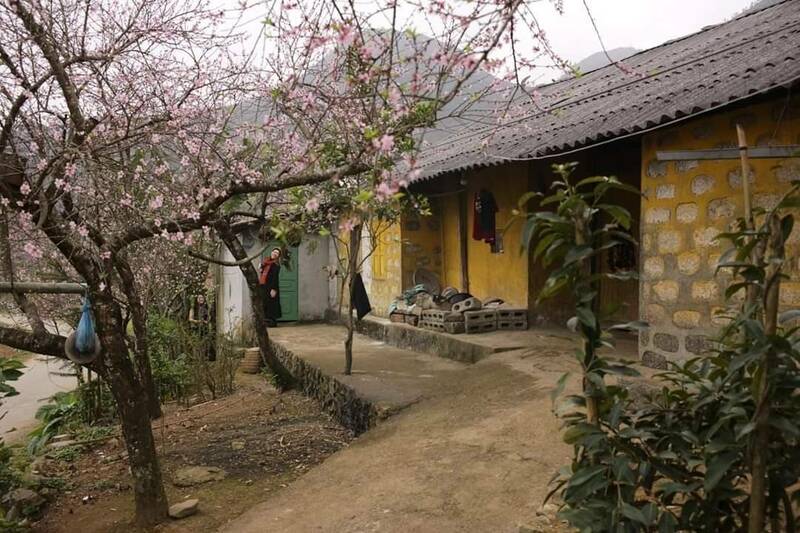 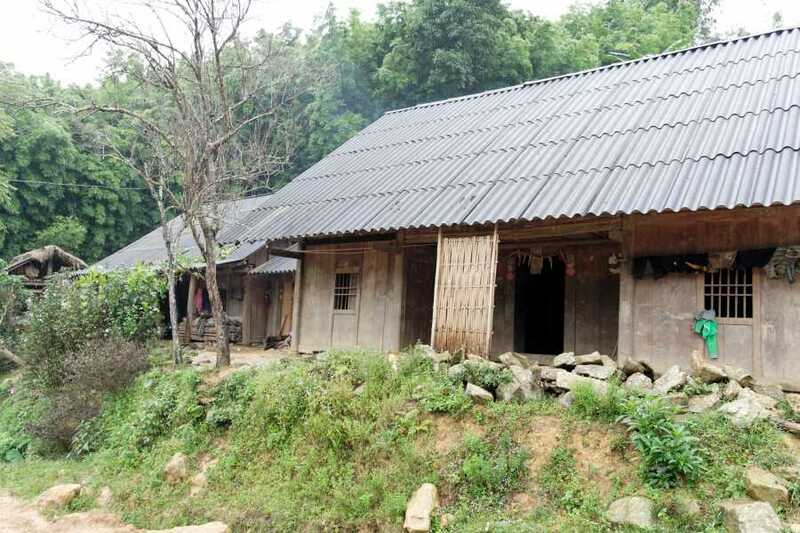 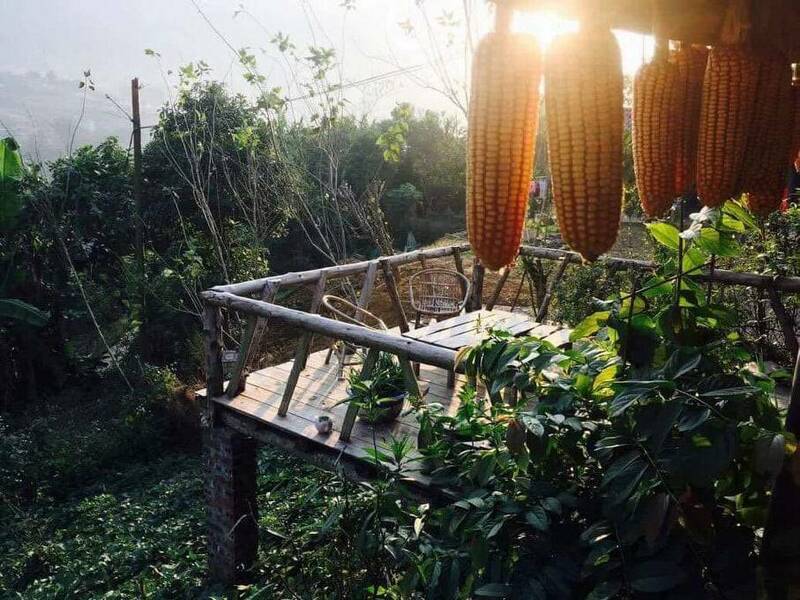 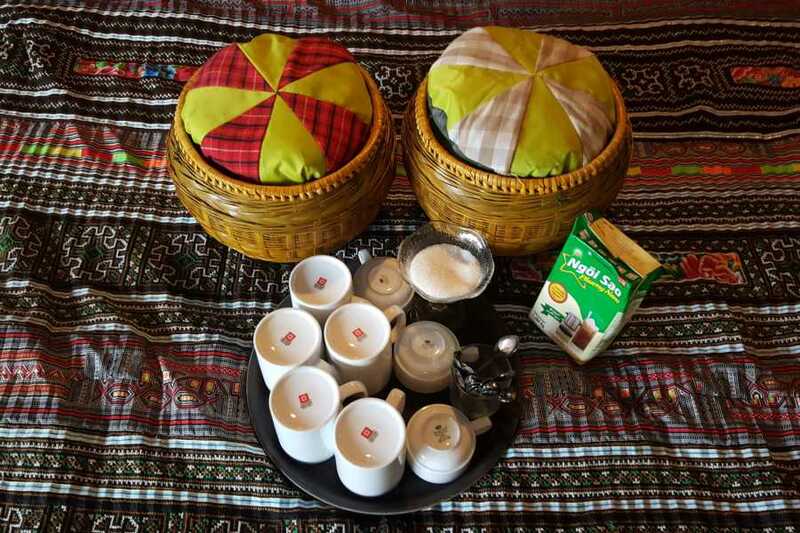 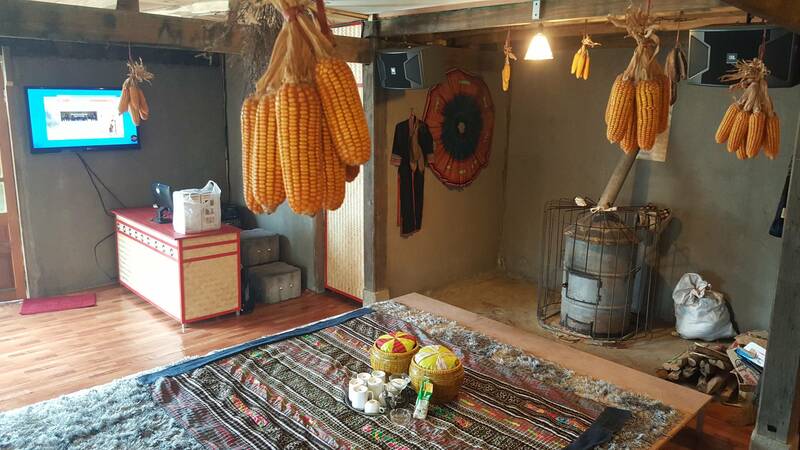 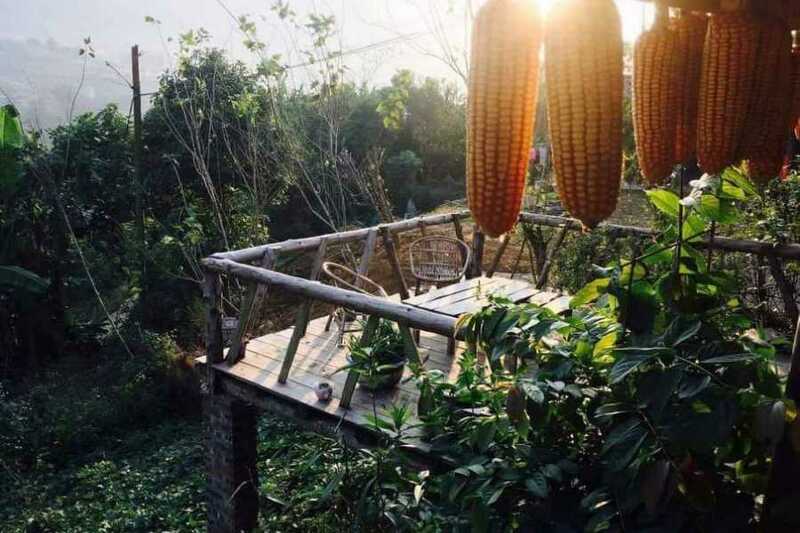 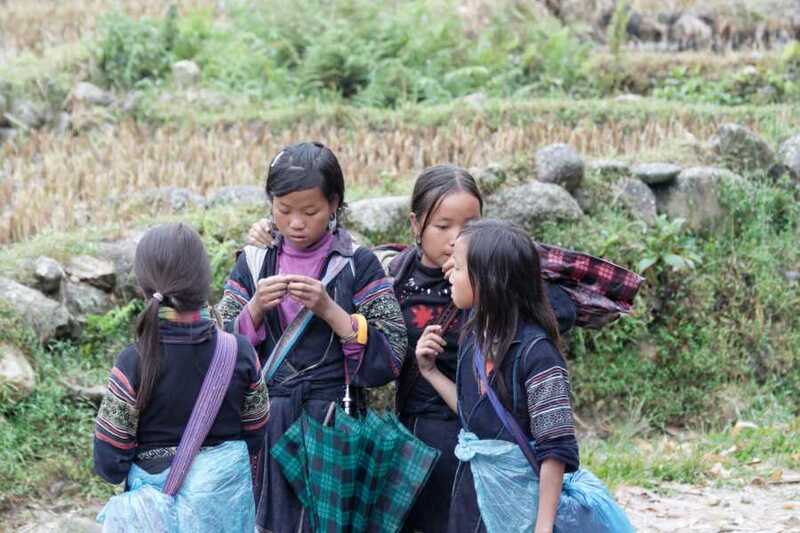 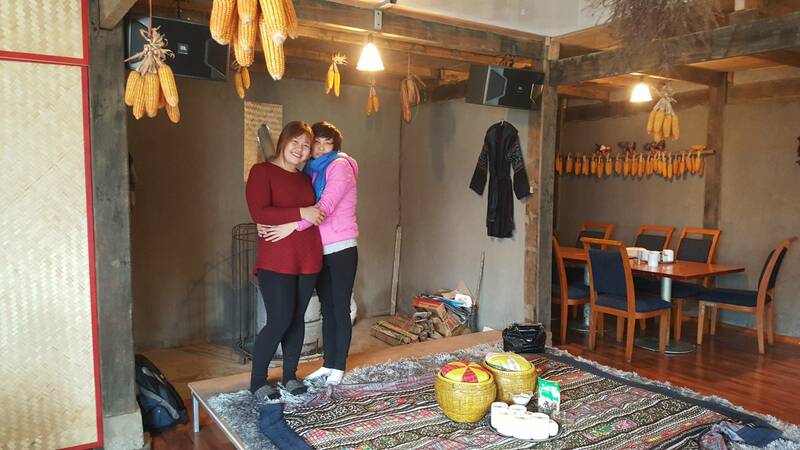 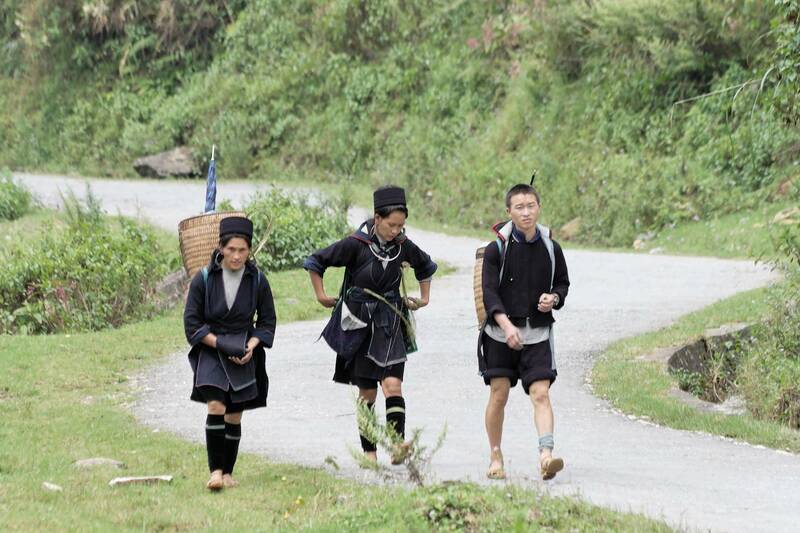 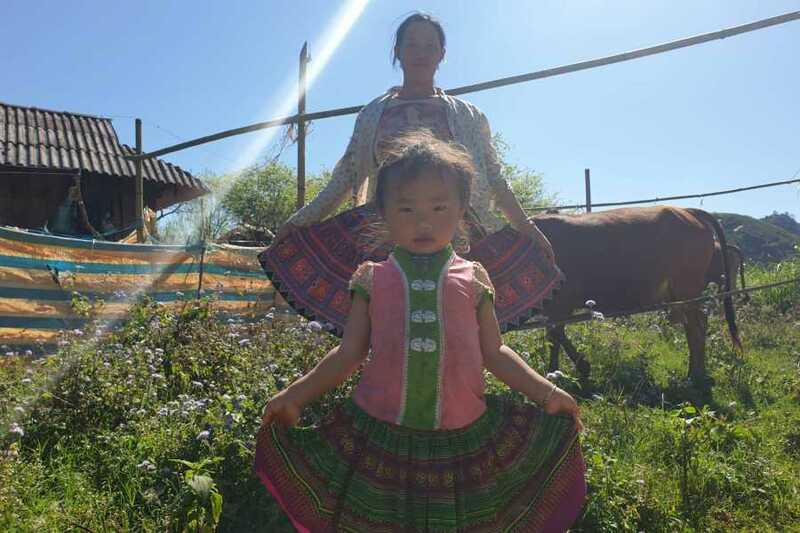 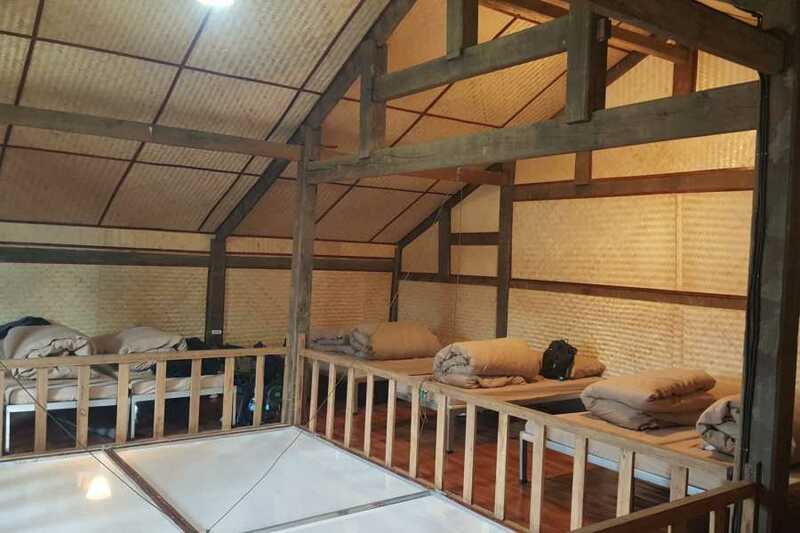 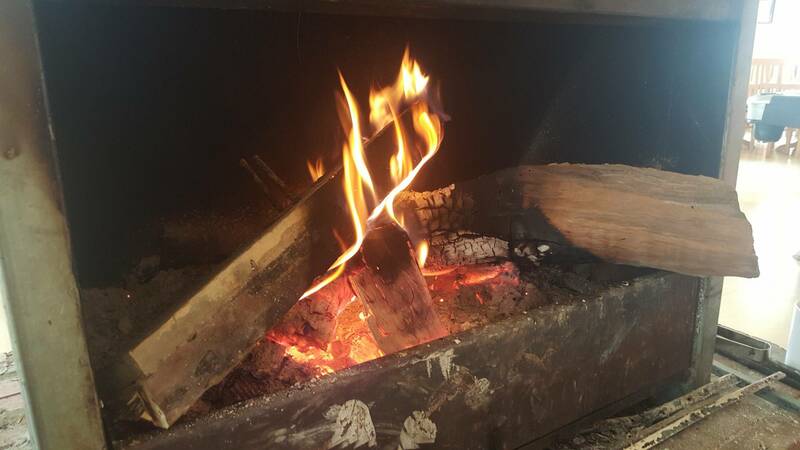 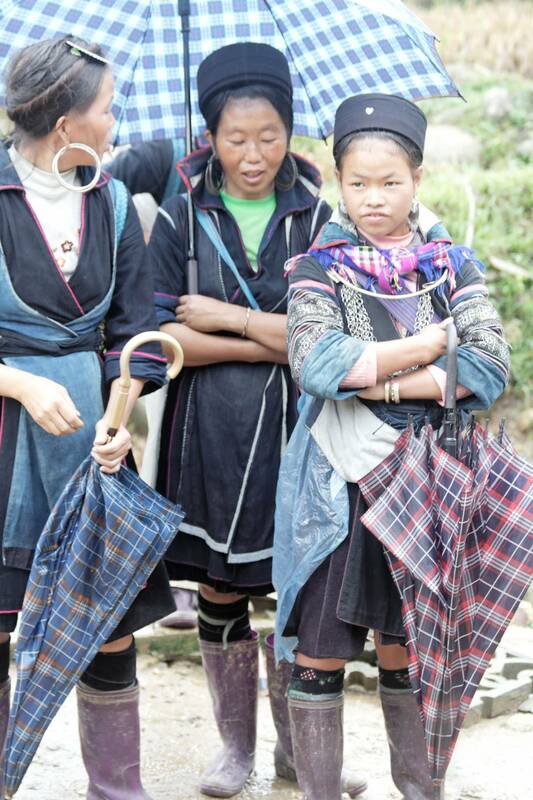 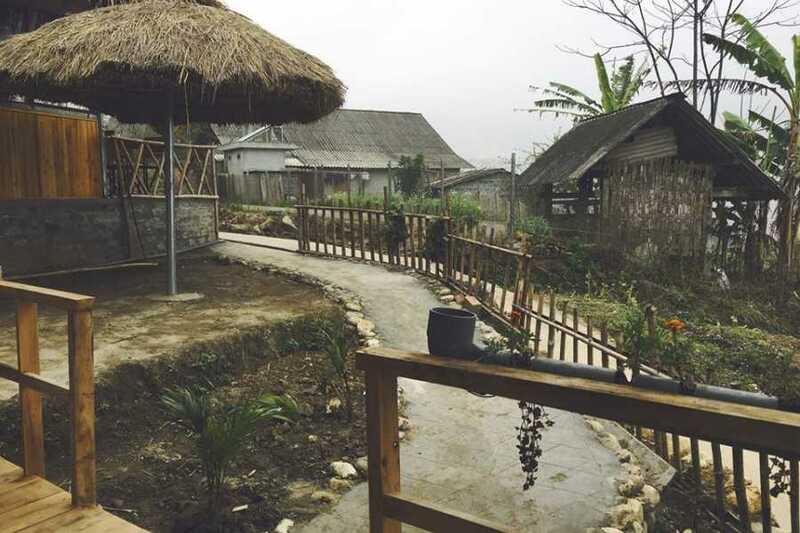 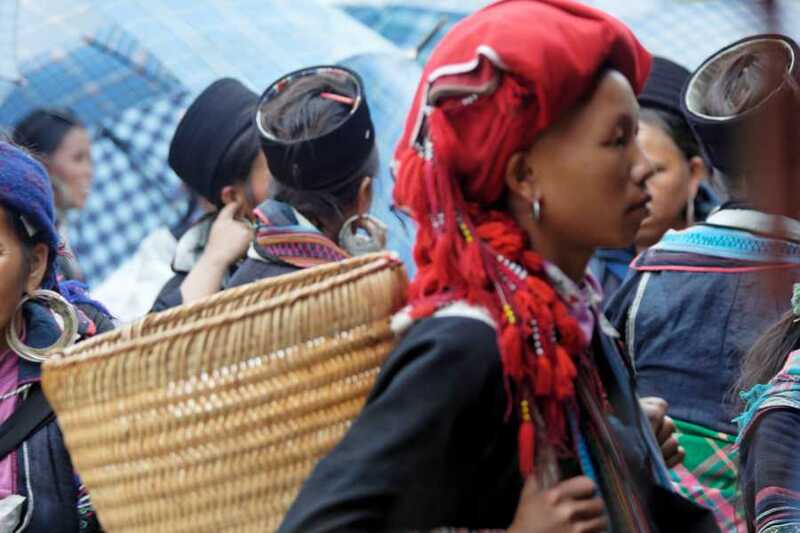 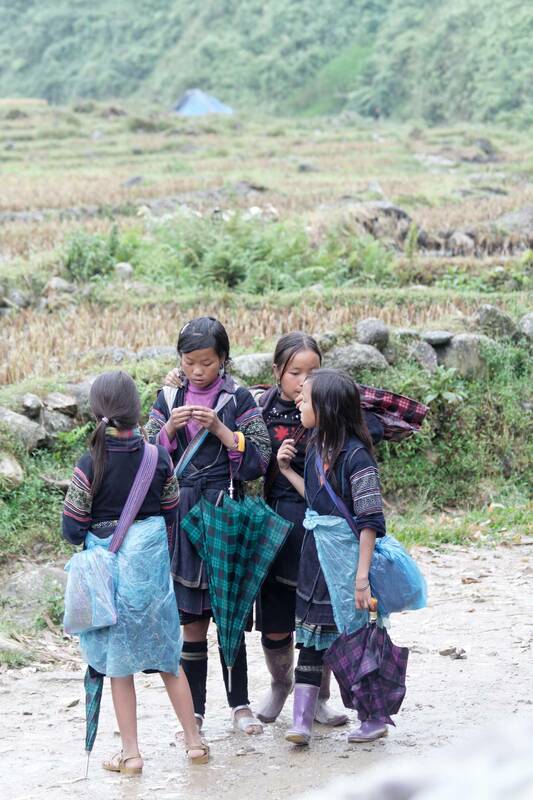 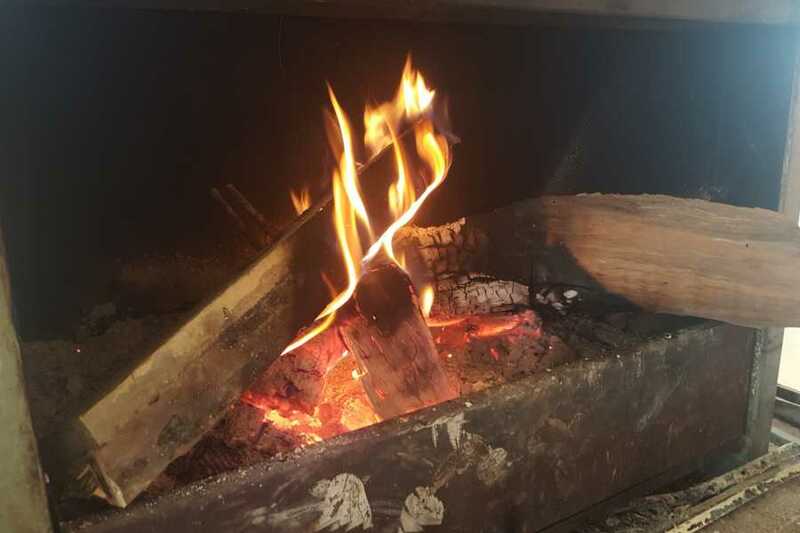 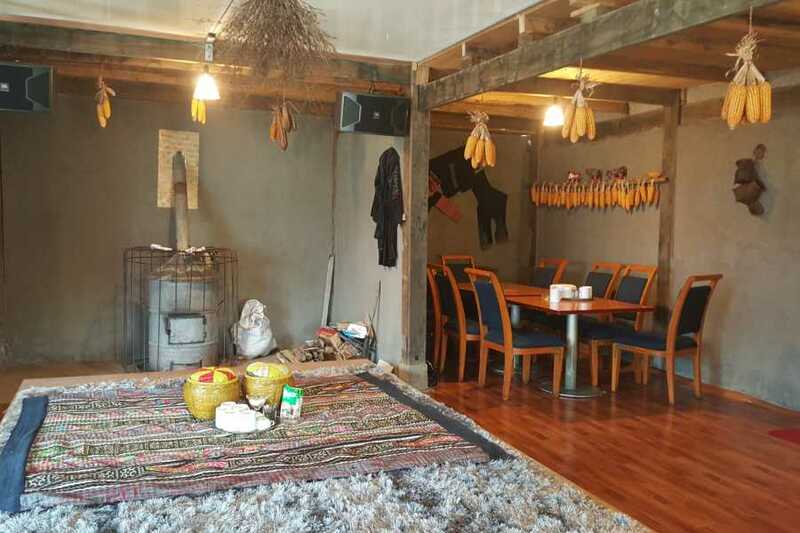 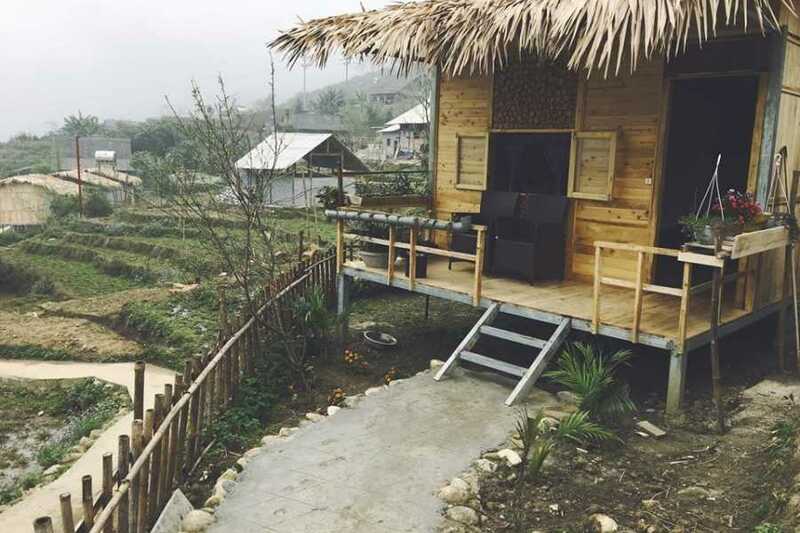 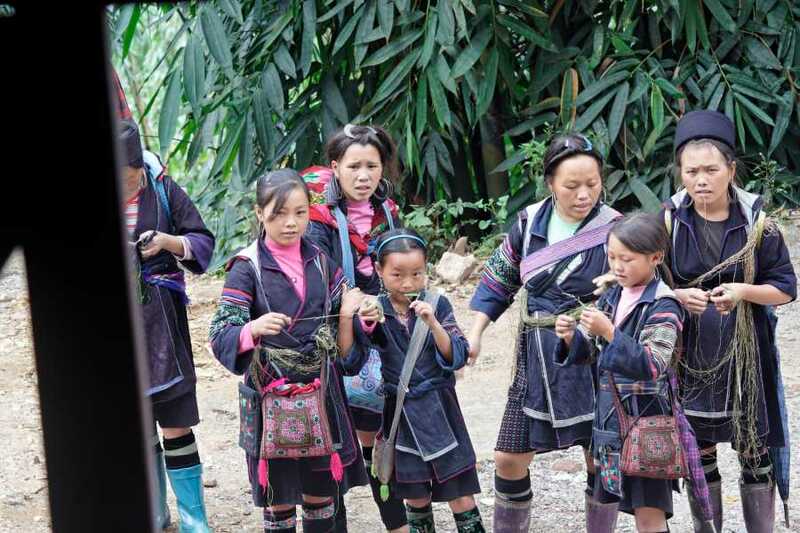 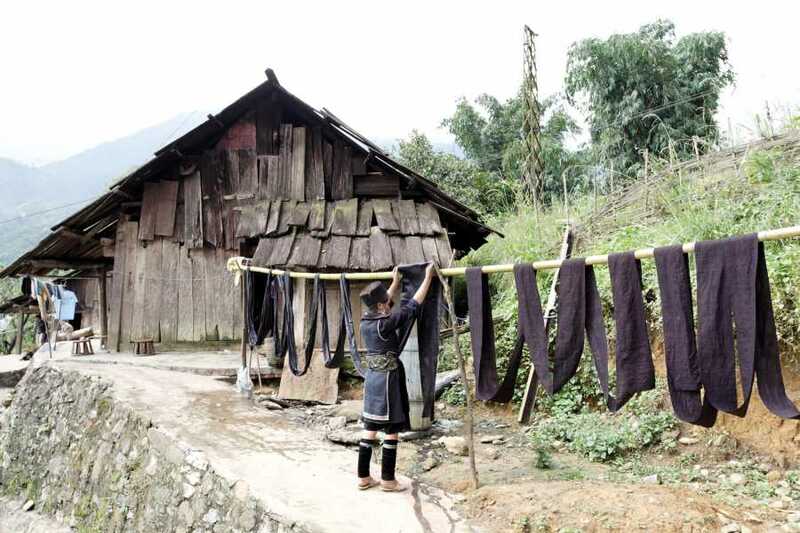 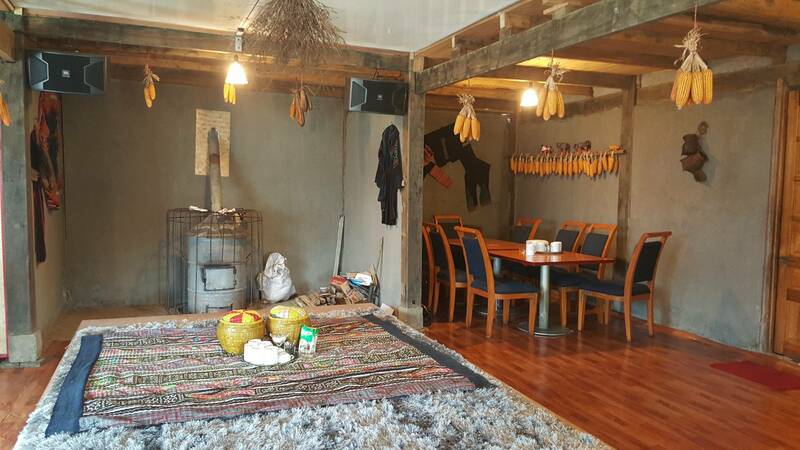 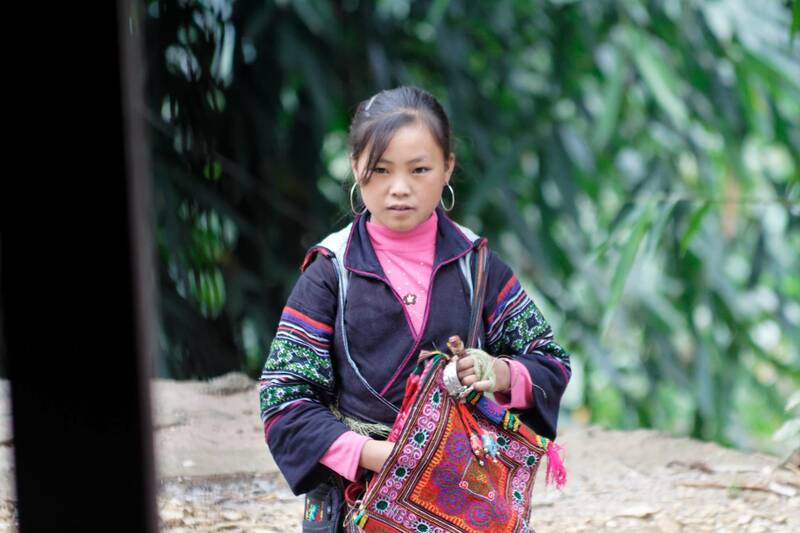 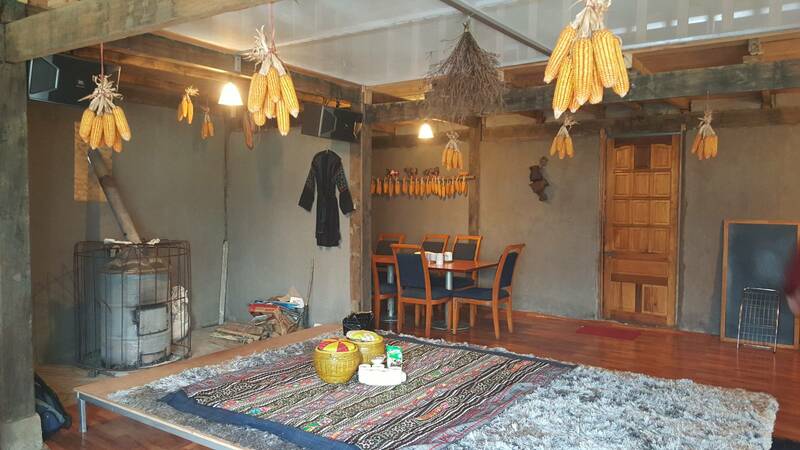 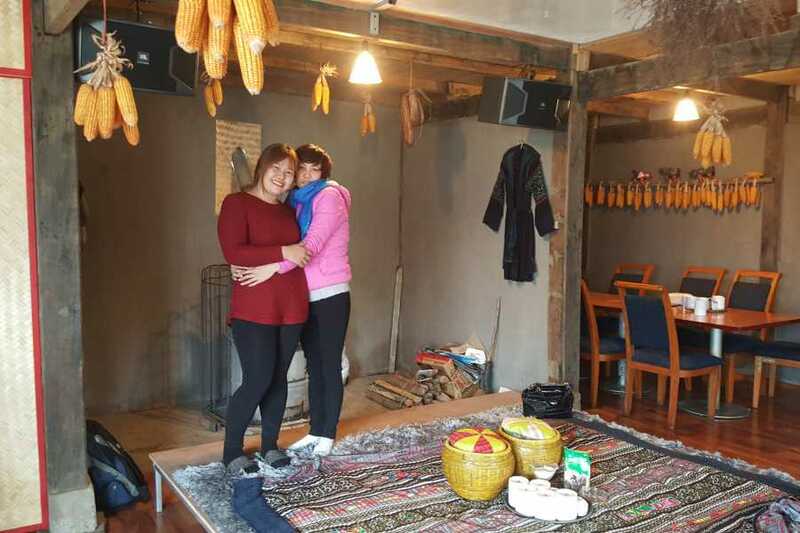 You will have lunch at a local restaurant, enjoy a little bit of free time to visit the Junior school, to witness the daily life of the black H'Mong and Dao people. 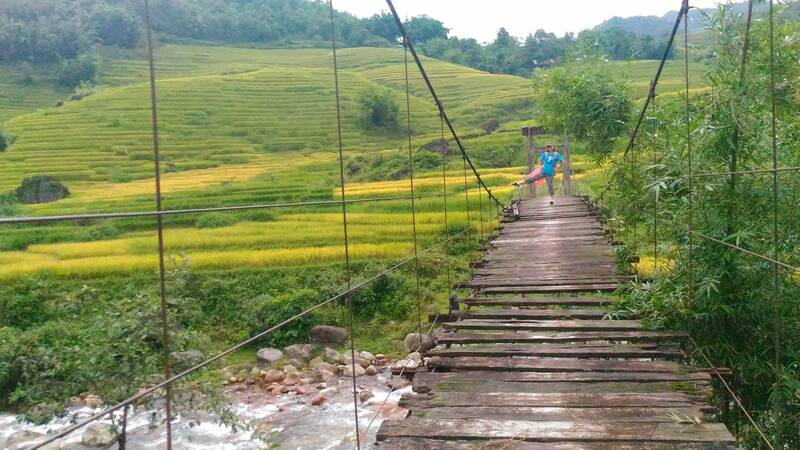 The total route of the day 1 is 11km.